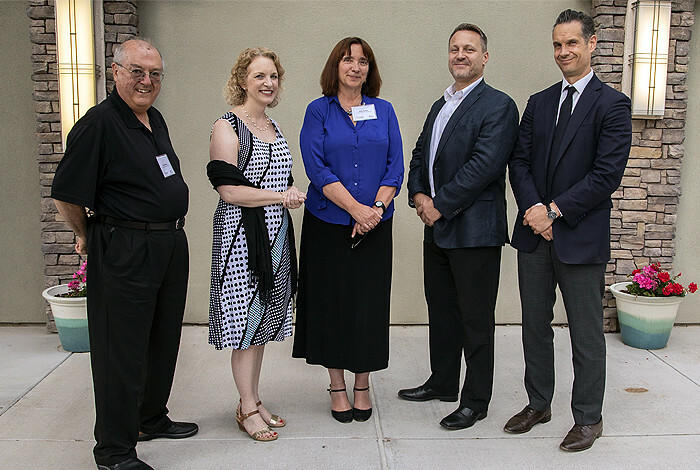 Bette Korber was recently honored with the 2018 Richard P. Feynman Innovation Prize for her ground-breaking HIV vaccine designs. 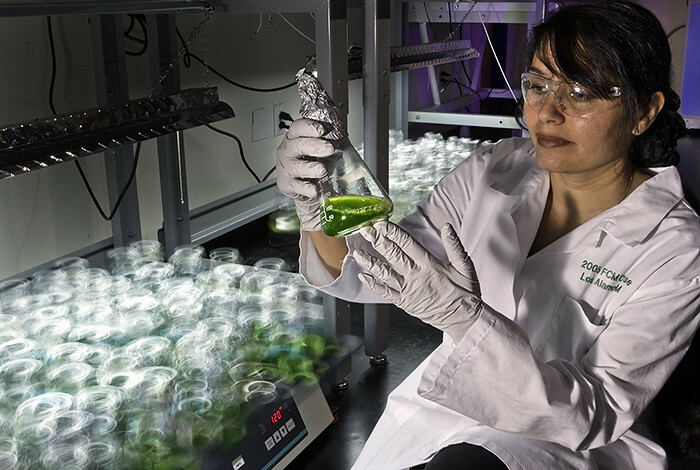 Researchers at Los Alamos National Laboratory and partner institutions provided today the first published report of algae using raw plants as a carbon energy source. 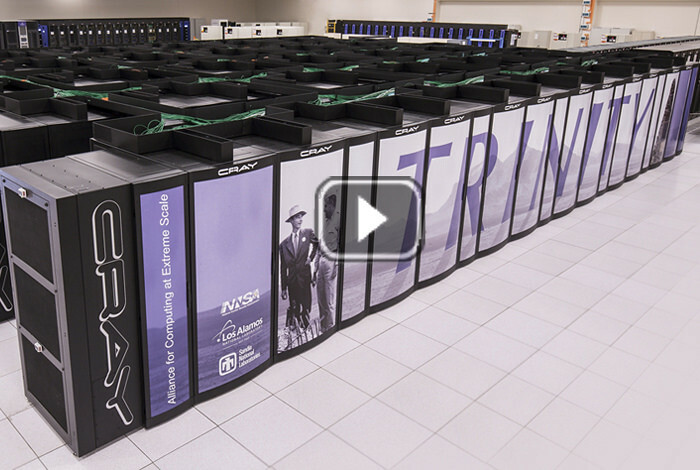 High-performance computing at Los Alamos continues to lead the way on extreme scale science. 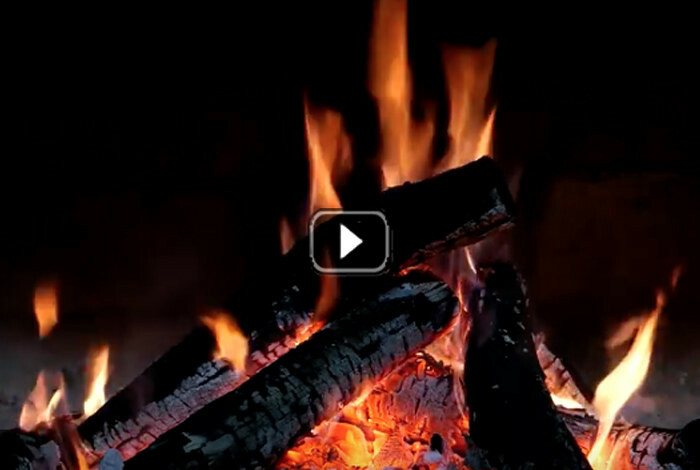 Scientists have developed a novel “melt-cast” explosive material that could be a suitable replacement for Trinitrotoluene, more commonly known as TNT. 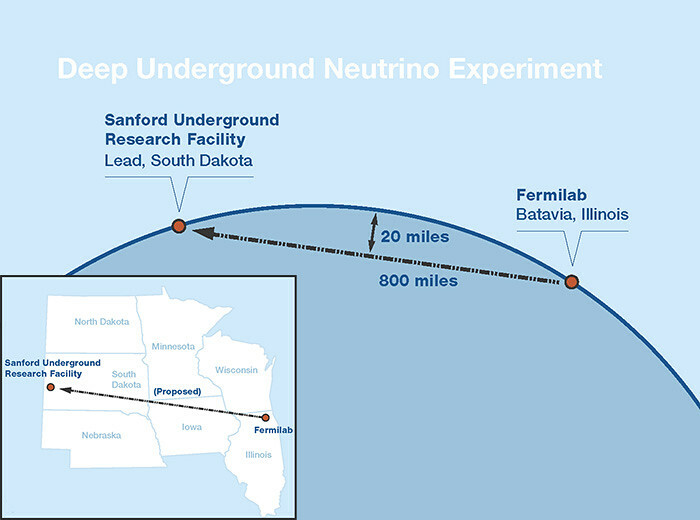 New research results have potentially identified a fourth type of neutrino, a “sterile neutrino” particle. 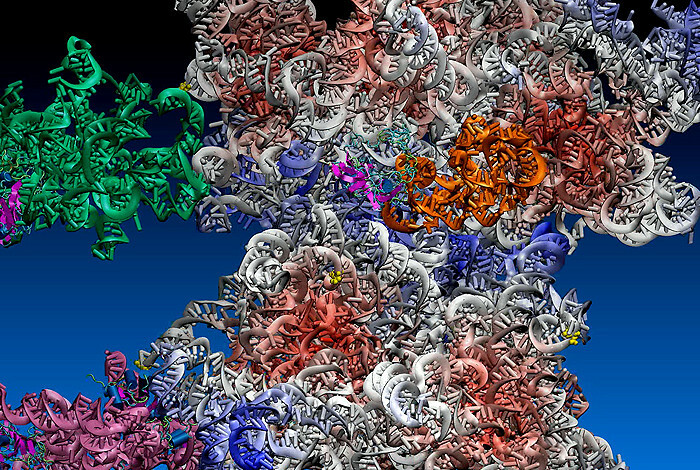 Through the computer modeling capabilities of the Laboratory, the molecular calisthenics involved in invading a cell are visually documented, an essential step toward vaccine and therapeutic medicine development. 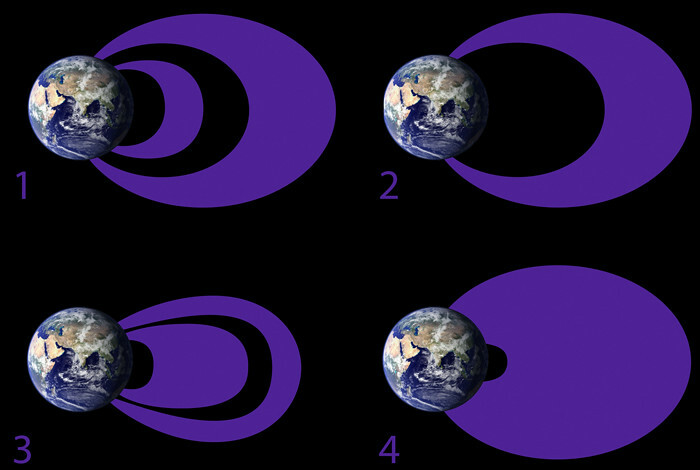 A new Earth-modeling system will have weather-scale resolution and use advanced computers to simulate aspects of Earth’s variability and anticipate decadal changes. 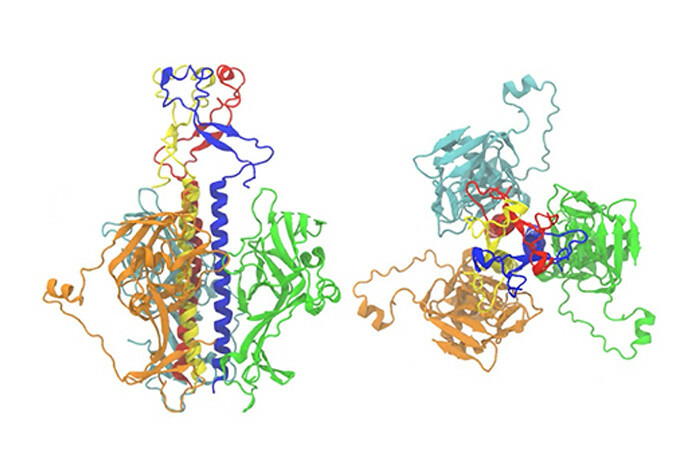 A multi-institutional project to understand one of the major targets of human drug design has produced new insights into how structural communication works in a cell component called a G protein-coupled receptor. 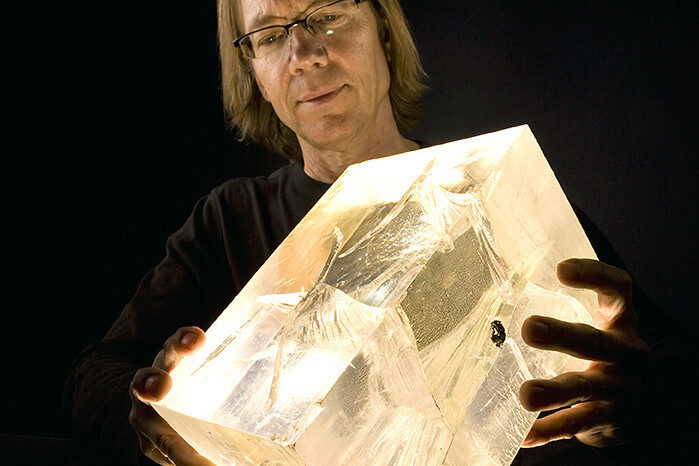 In a classical material called artificial spin ice, which in certain phases appears disordered, the material is actually ordered, but in a “topological” form. 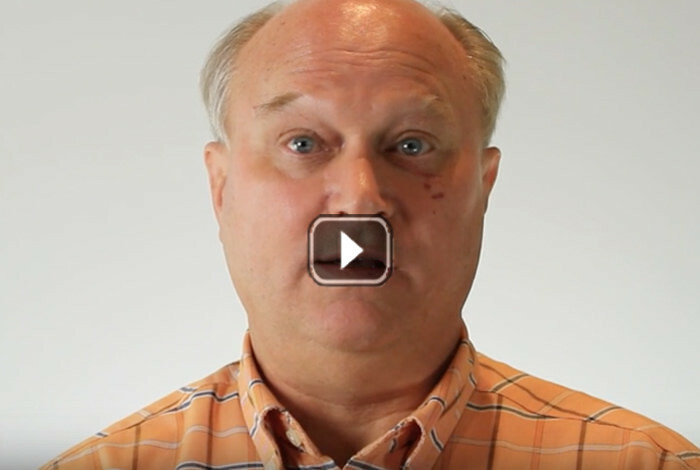 The Grand Unified File Index (GUFI) is designed using a new, hierarchical approach to storing file metadata, allowing rapid parallel searches across many internal databases. 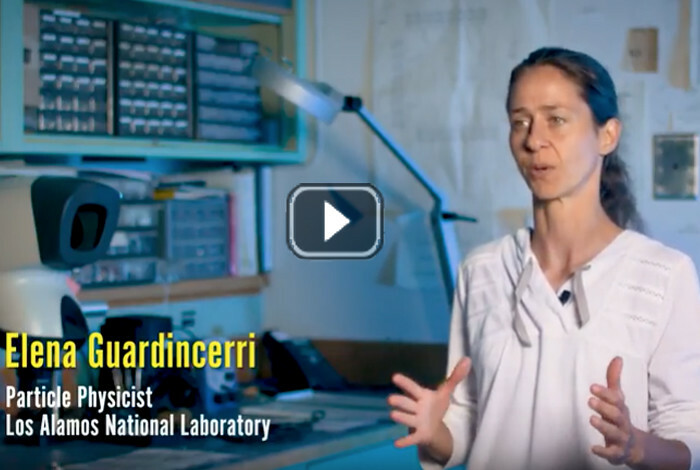 Innovative “lighthouse” detectors are reducing radiation exposure for workers and opening up new areas for robotic monitoring to avoid potential hazards. 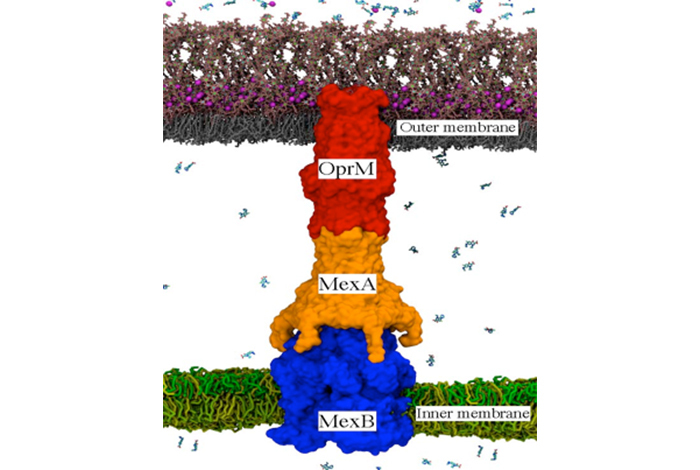 In the study, a collaborative research team showed that Raman spectroscopy (a form of light scattering) can provide more extensive characterization of intertube excitons. 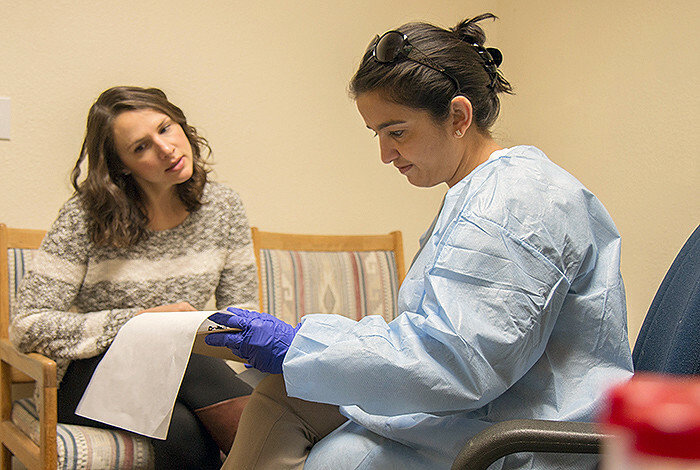 The team encourages participation in the study to improve the ability to predict and alleviate emerging infectious diseases. 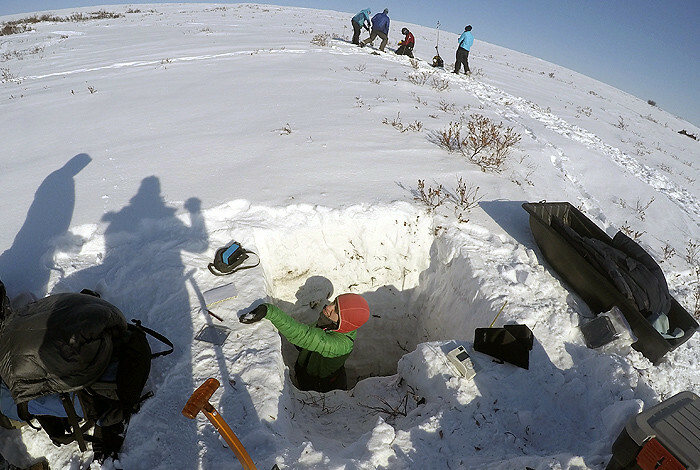 Moulins, vertical conduits that penetrate through the half-mile-deep ice, efficiently funnel the majority of summer meltwater from the ice surface to the base of the ice sheet. 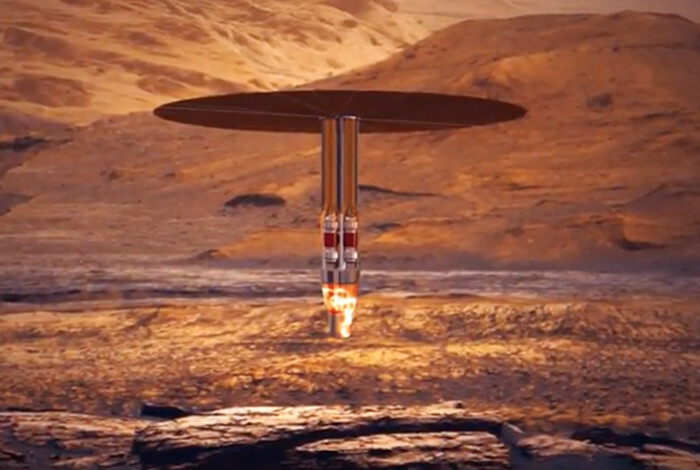 When we imagine sending humans to live on Mars, the moon or other planetary bodies in the not-so-distant future, a primary question is: How will we power their colony? A team of scientists and bioengineers have developed a tissue-engineered artificial lung called PuLMo that simulates the response of the human lung to drugs, toxins, particles and other agents. 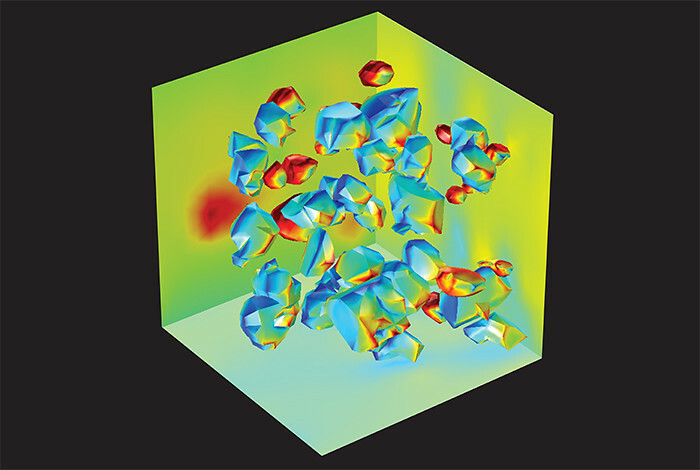 One type of efflux pump, which until recently had only been studied piecemeal, was modeled in its entirety and simulated using supercomputers at Los Alamos National Laboratory. 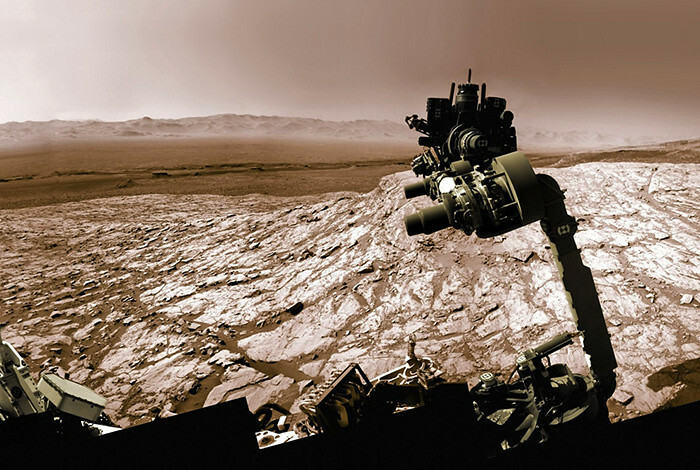 While many of us will spend the final days of 2017 taking a break from work, the ChemCam instrument aboard NASA’s Mars Curiosity rover will keep busy. 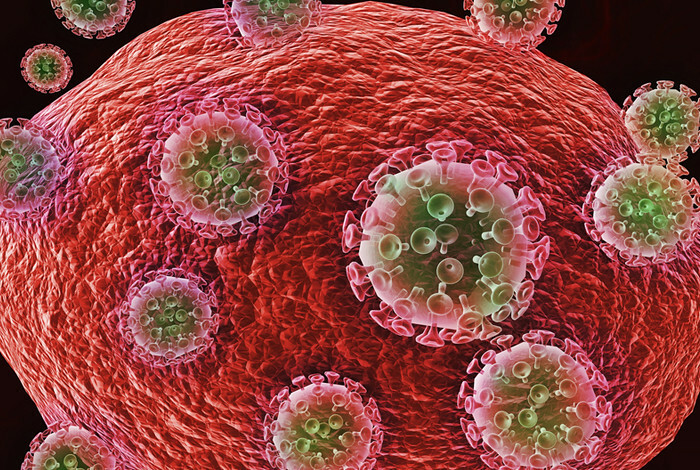 The HIV-1 mosaic vaccine in the trial was originally designed at Los Alamos National Laboratory by theoretical biologist Bette Korber and her team. 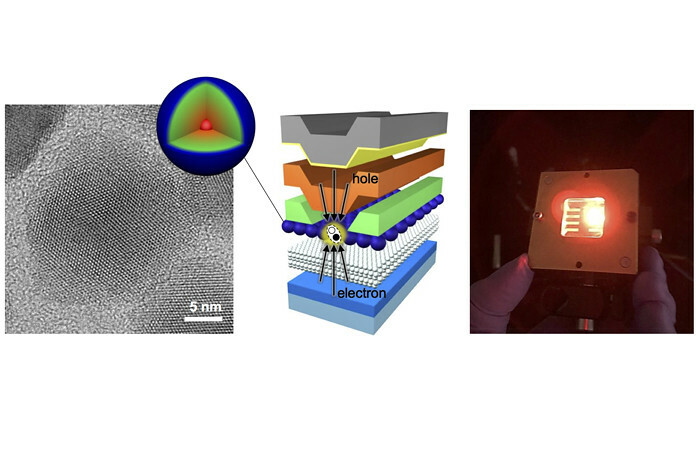 The team demonstrates that using their “designer” quantum dots, they can achieve light amplification in a nanocrystal solid with direct-current electrical pumping. 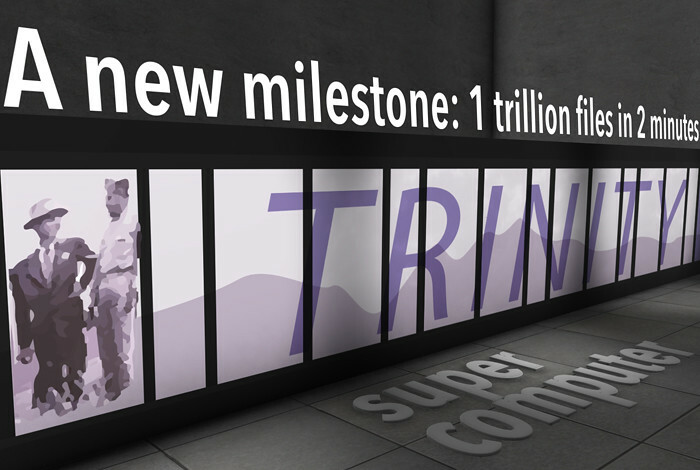 The Trinity Supercomputer made number three on the High Performance Conjugate Gradients Benchmark project and is number seven on the TOP500 list. 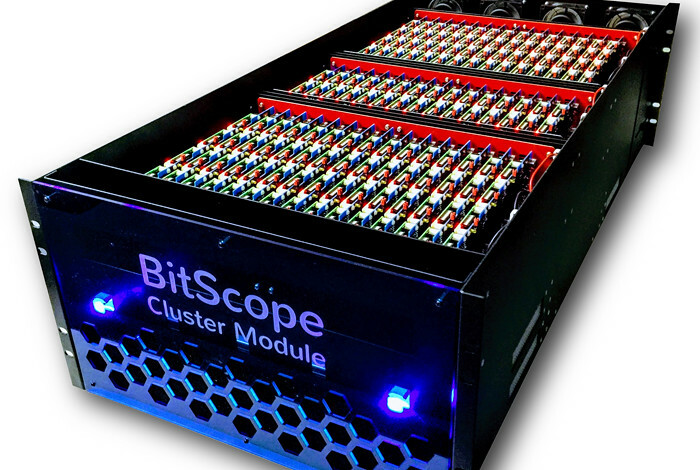 It brings a powerful high-performance-computing testbed to system-software developers, researchers and others who lack machine time on the world’s fastest supercomputers. 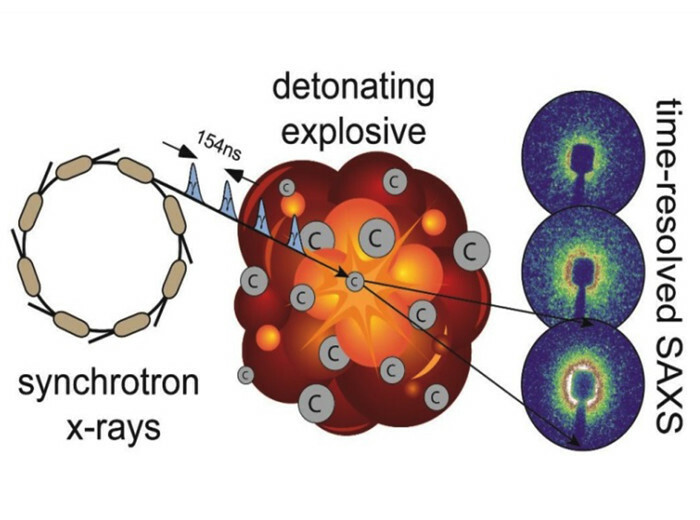 Small-angle x-ray scattering is used to observe ultra-fast carbon clustering and graphite and nanodiamond production in the insensitive explosive Plastic Bonded Explosive 9502. 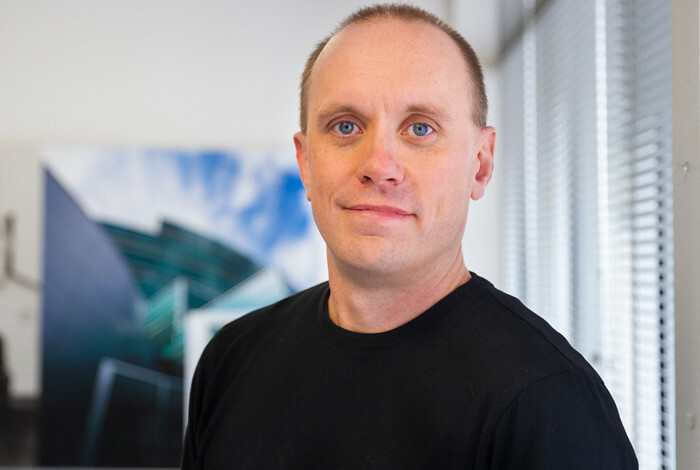 Researchers are simulating biological neural networks on supercomputers, enabling machines to learn about their surroundings, interpret data and make predictions much the way humans do. 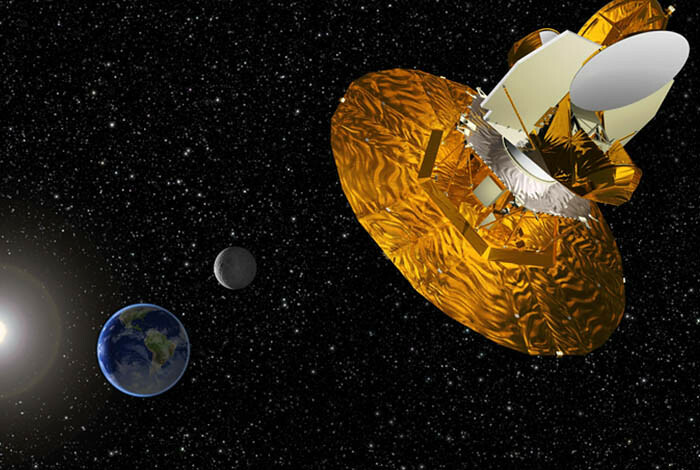 It confirms Einstein’s prediction that gravitational waves travel at the same speed as gamma rays: the speed of light. 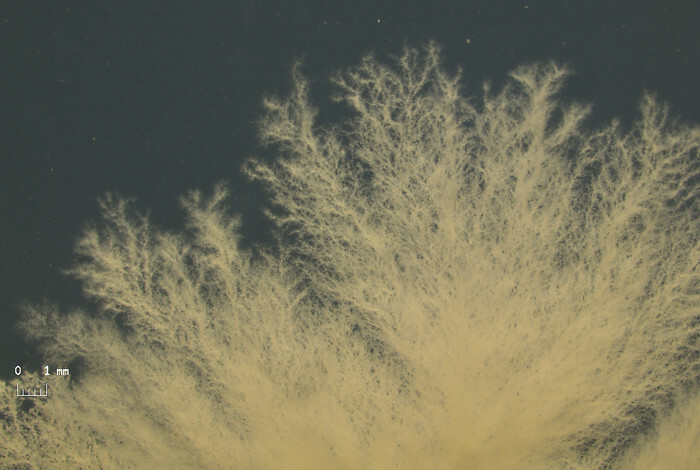 Scientists have characterized a sample of “mystery” fungus collected in North Carolina and found its home in the fungal tree of life. 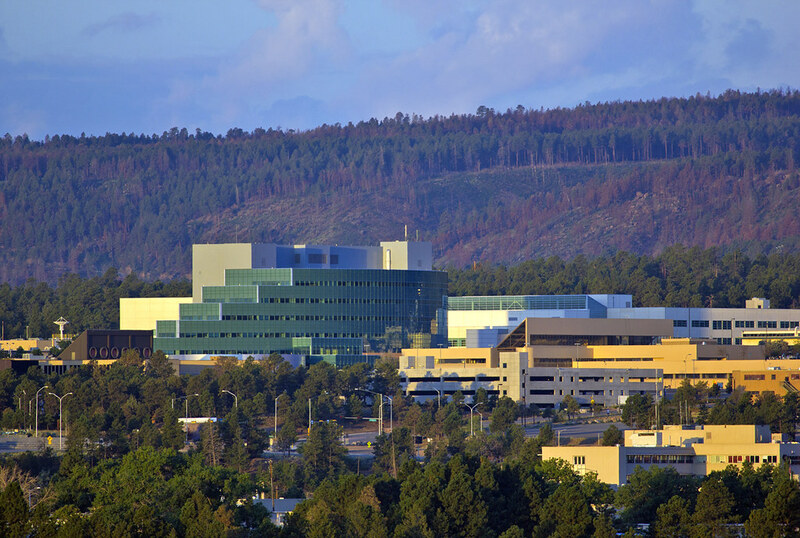 The honor is an international recognition of key technologies that originally developed at Los Alamos in the 1980s and 1990s. 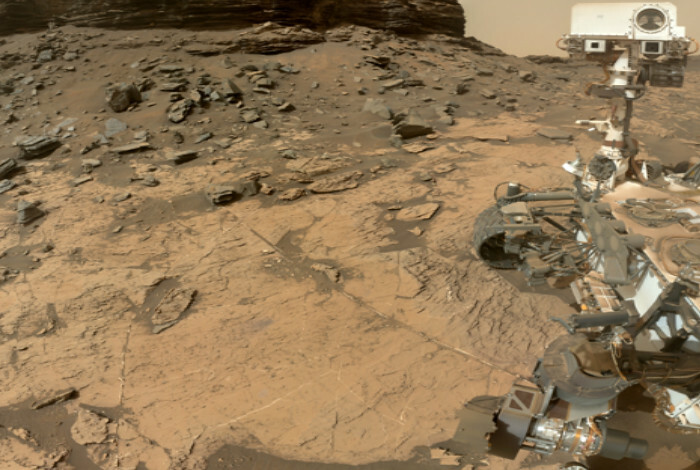 The discovery of boron on Mars gives scientists more clues about whether life could have ever existed on the planet. 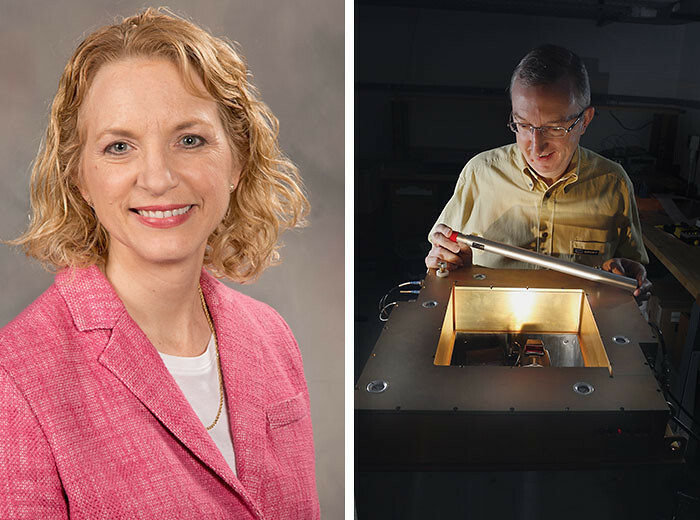 Eight Los Alamos National Laboratory innovations were selected as finalists for the 2017 R&D 100 Awards. 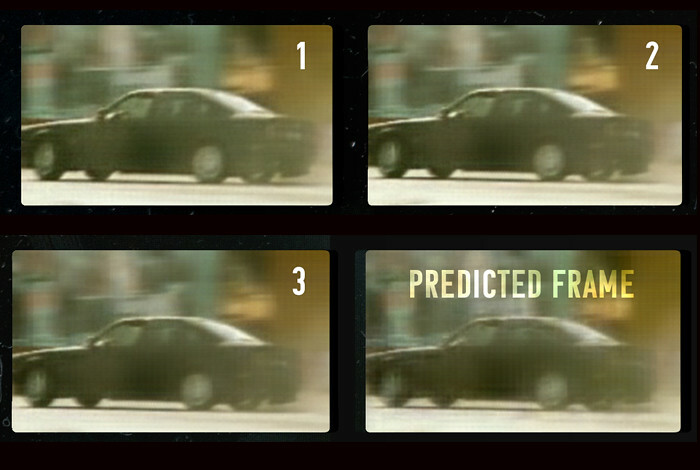 The Lab is using a tool called FIRETEC to simulate the fire/atmosphere interaction that controls fire behavior. 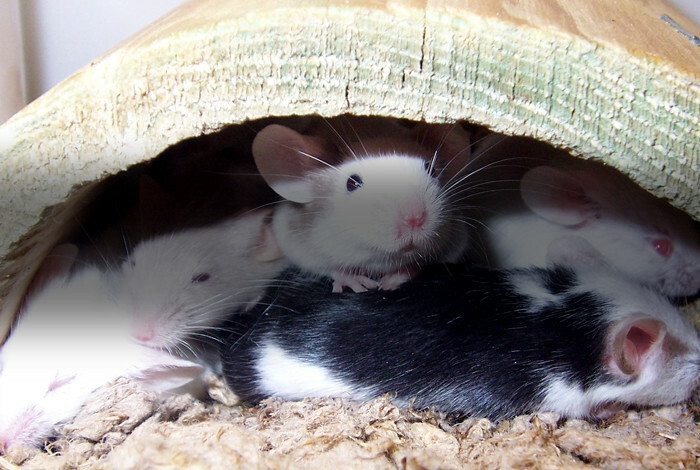 Biological “detectives” are tracking down biothreats such as the bacteria that causes tularemia (“rabbit fever”). 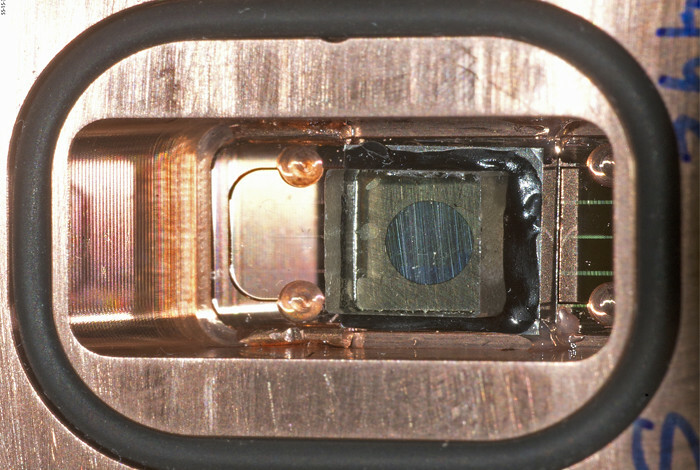 Muon-imaging technology — far better at penetrating materials than x-rays — makes it ideal for peering into thick, dense objects. 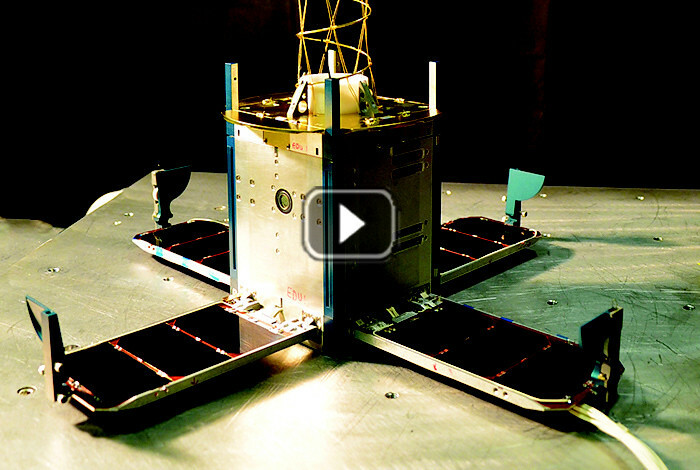 Over the past decade and a half, satellites the size of a toaster have opened up new possibilities for using space. 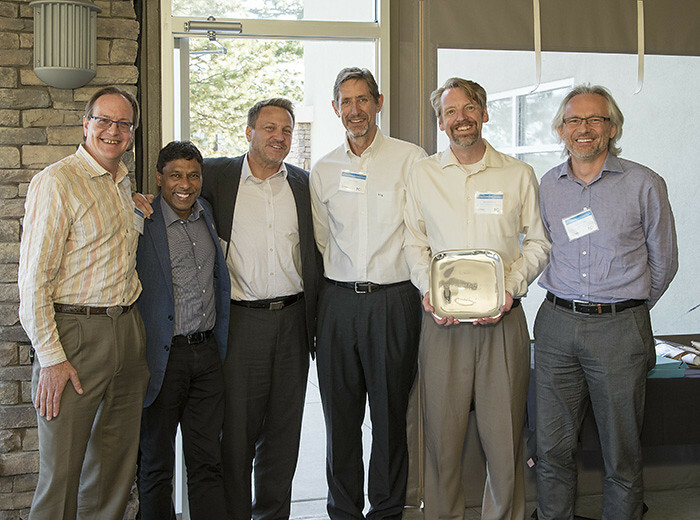 dfnWorks and EDGE Bioinformatics were recognized as “notable technology developments” by the consortium’s eight-member award review team. 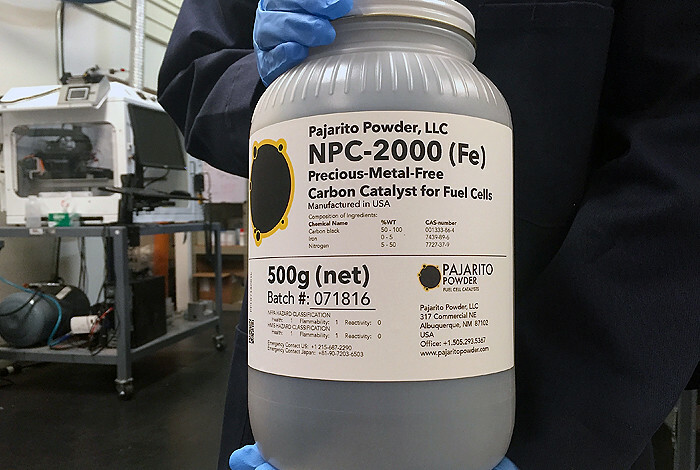 Researchers have been developing alternatives to the prohibitively expensive platinum and platinum-group metal (PGM) catalysts currently used in fuel cell electrodes. 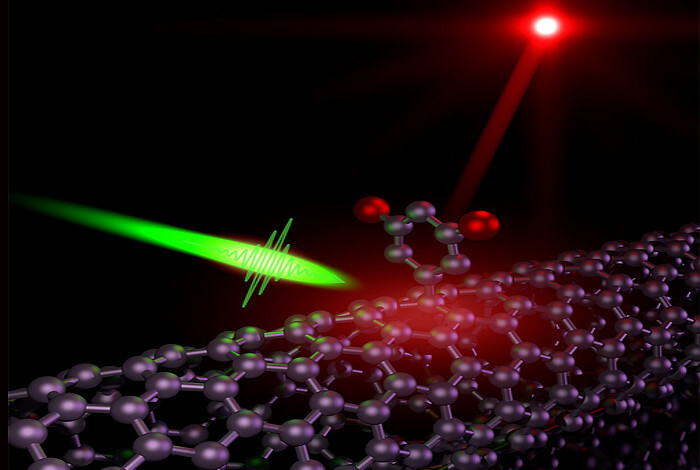 The Laboratory has produced the first known material capable of single-photon emission at room temperature and at telecommunications wavelengths. 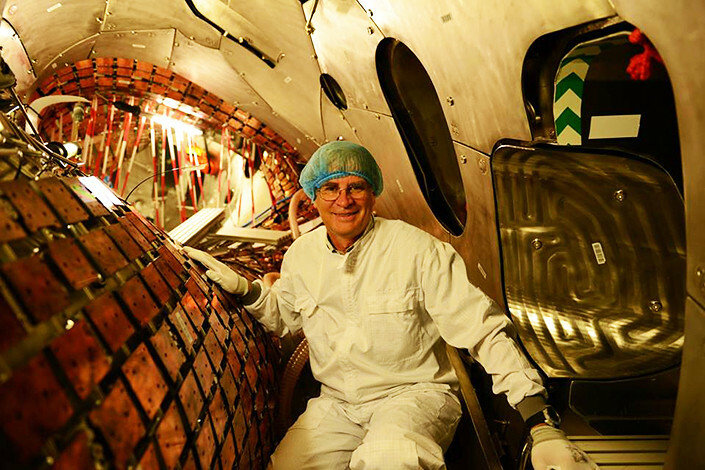 An international group of dignitaries, scientists and engineers will mark the start of construction of a massive experiment that could change our understanding of the universe. 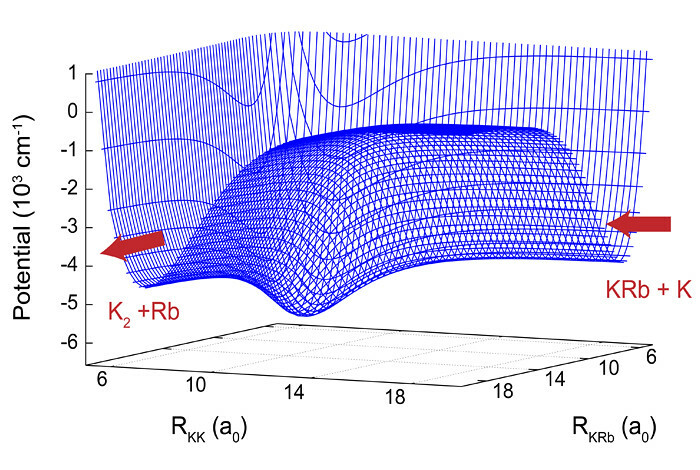 Researchers have performed the first ever quantum-mechanical simulation of the benchmark ultracold chemical reaction. 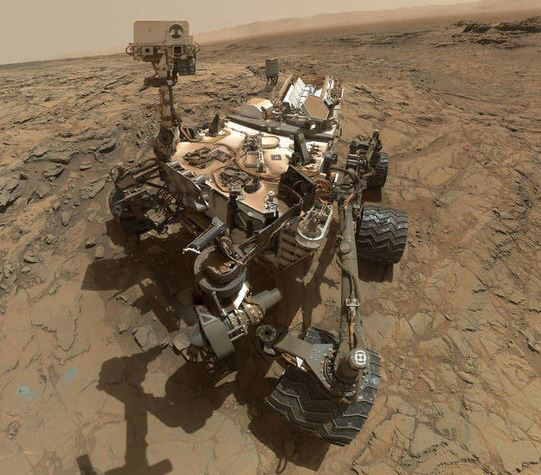 It’s no coincidence that Death Valley and Mars have boron in common. 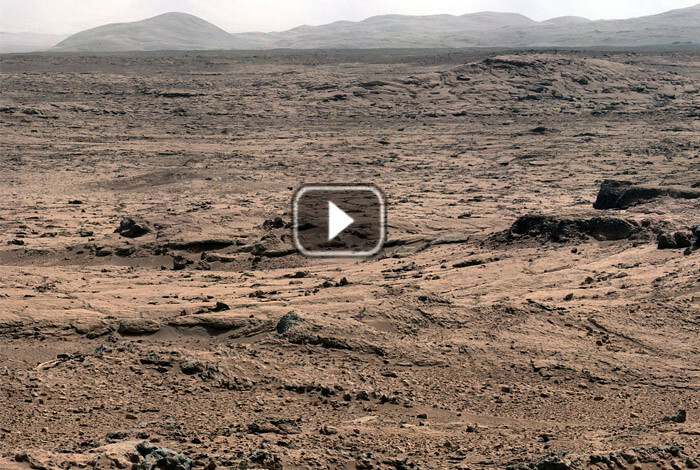 Boron typically occurs in arid locations where water has evaporated. 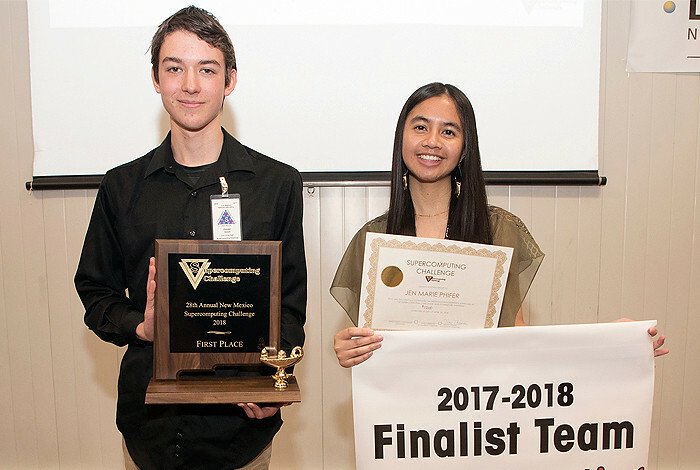 Nicholas was recognized with the Edway R. Johnson Meritorious Service award and Swinhoe received the Vincent J. DeVito Distinguished Service award. 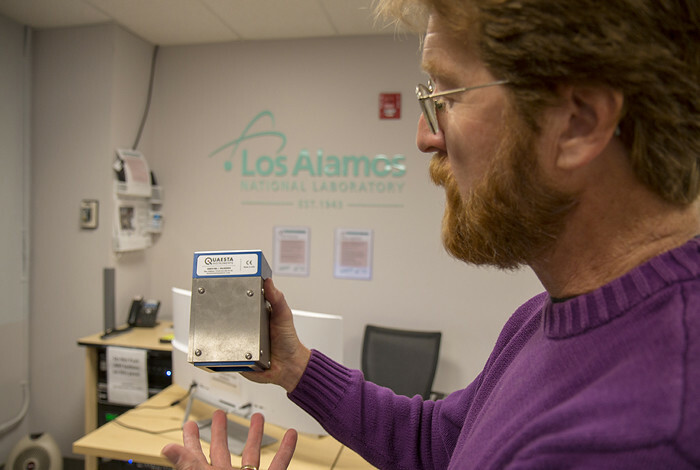 At Los Alamos, we pay a lot of attention to things that blow up and we’re especially interested in how to make them safer. 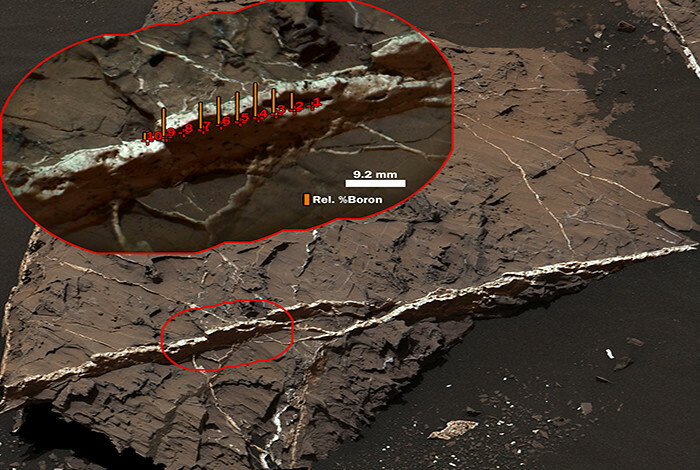 A long-lasting lake on ancient Mars provided stable environmental conditions that differed significantly from one part of the lake to another. 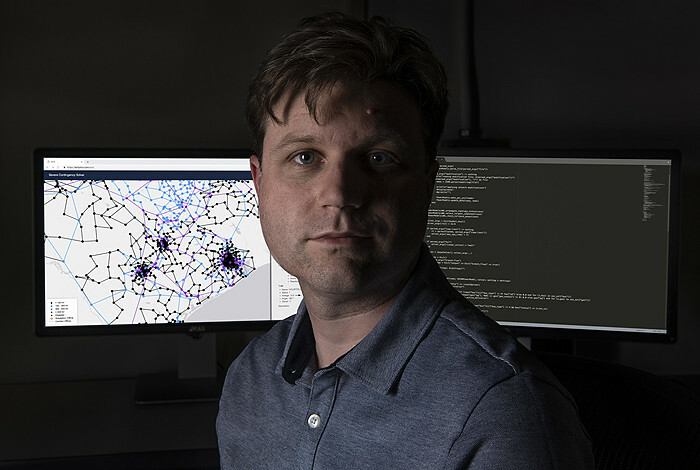 A new computer modeling study is aimed at making epidemiological models more accessible and useful for public-health collaborators and improving disease-related decision making. 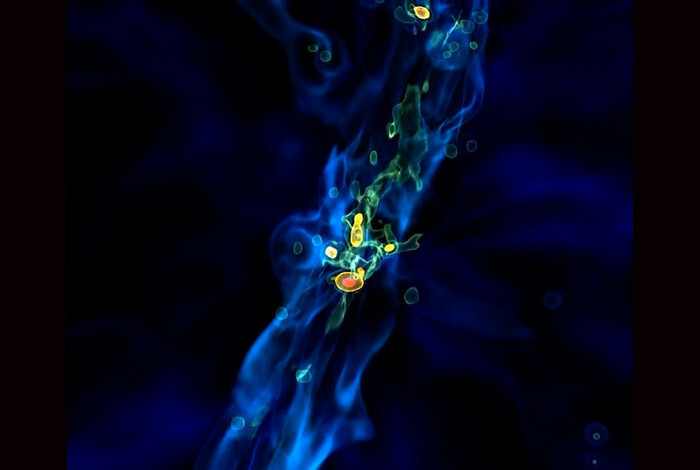 A team of physicists and astrophysicists are using supercomputers to simulate the Big Bang nucleosynthesis and the early universe to unprecedented precision. 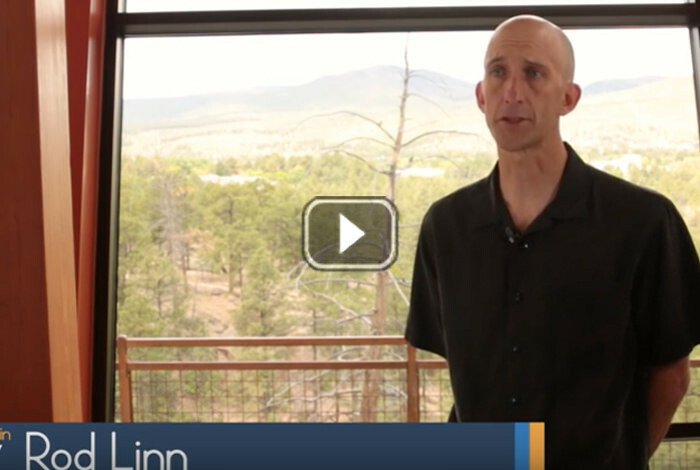 Geoff Fairchild talk about how his team is using Los Alamos National Laboratory’s supercomputing capabilities to data mine social media and reveal trends relating to health and safety. 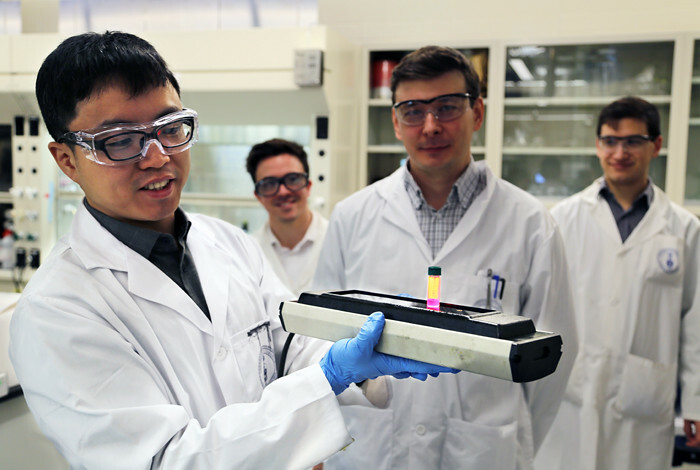 Solar cells and photodetectors could soon be made from new types of materials based on semiconductor quantum dots. 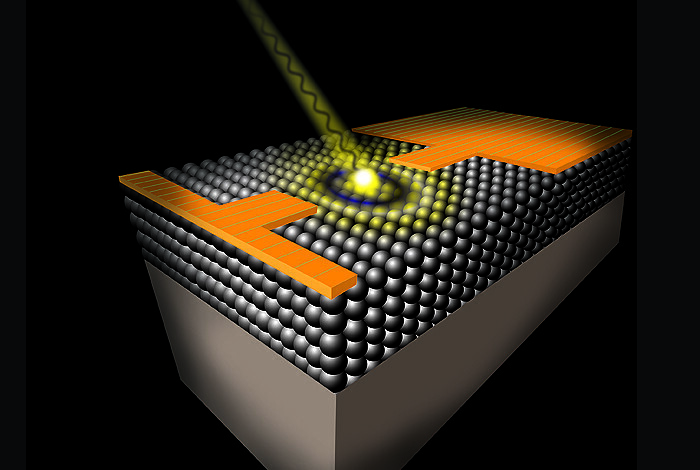 Solar cells and photodetectors could soon be made from new types of materials based on semiconductor quantum dots, thanks to new insights based on ultrafast measurements capturing real-time photoconversion processes. 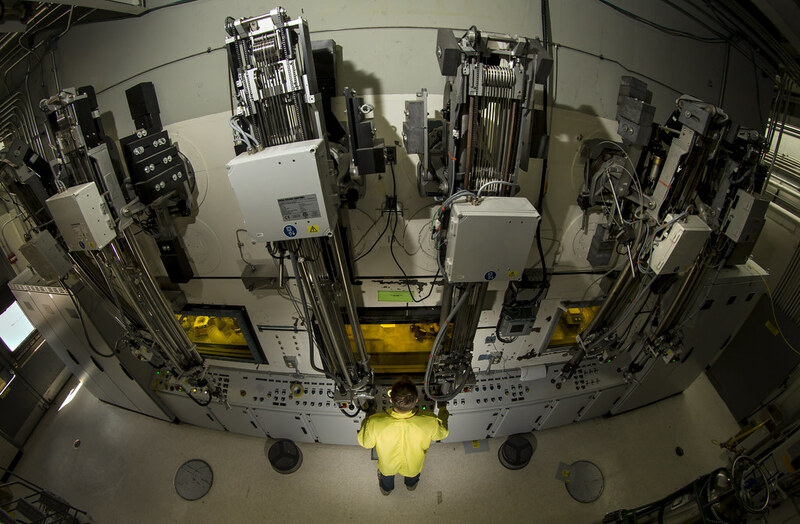 Researchers have uncovered a significant new chemical attribute of plutonium, the identification and structural verification of the +2 oxidation state in a molecular system. 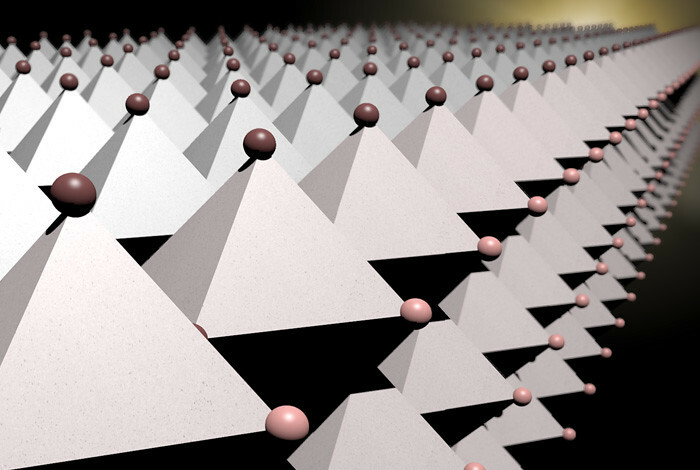 Scientists are creating innovative 2D layered hybrid perovskites that allow greater freedom in designing and fabricating efficient optoelectronic devices. 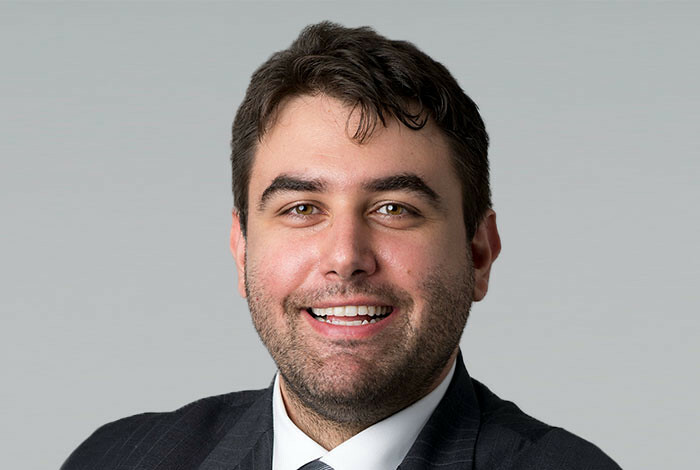 Ludmil Alexandrov has been announced as a member of one of the first four global research teams funded under Cancer Research UK’s “Grand Challenge." 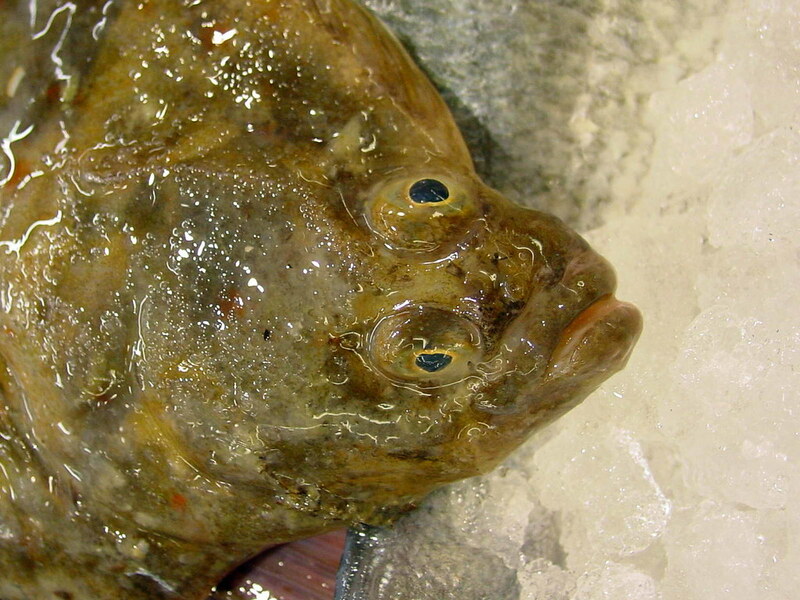 Over the last hundred-plus years, we humans have looked to nature to improve our ability to camouflage ourselves. 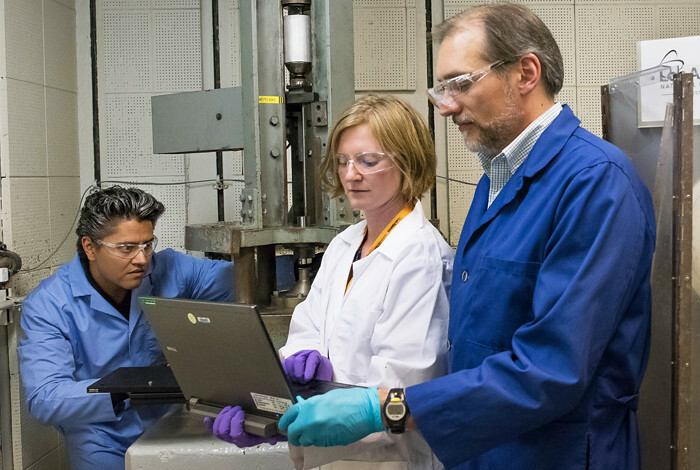 A collaborative project led by six Department of Energy national laboratories with the project management office established at Oak Ridge National Laboratory (ORNL). 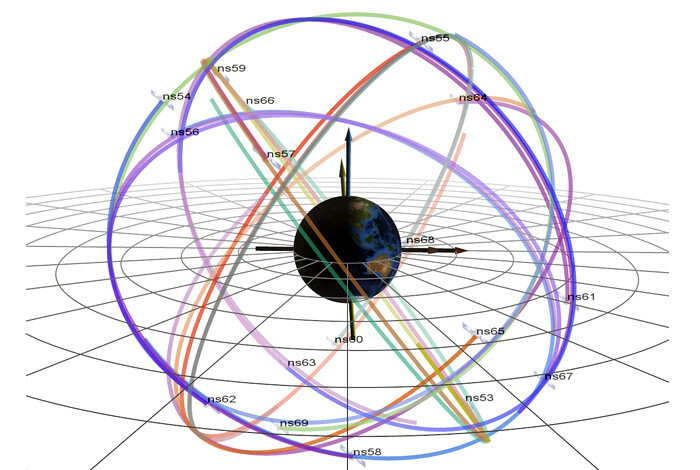 The data comes from space-weather sensors developed by Los Alamos National Laboratory on board the nation’s Global Positioning System (GPS) satellites. 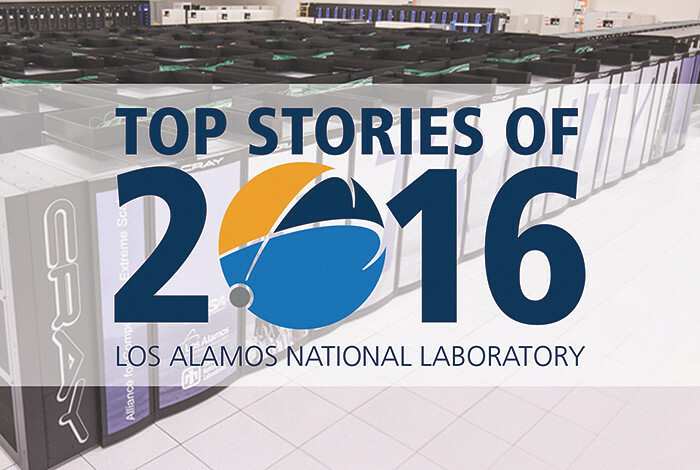 From discoveries on Mars to breakthroughs in cancer research, from national security science to materials science, 2016 has proven to be another productive year for Los Alamos National Laboratory achievements. 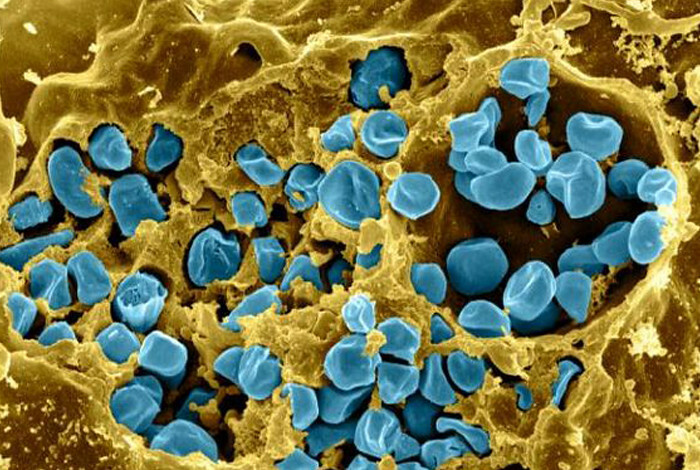 The virulent pathogen that causes the disease tularemia, or “rabbit fever,” was weaponized during past world wars and is considered a potential bioweapon. 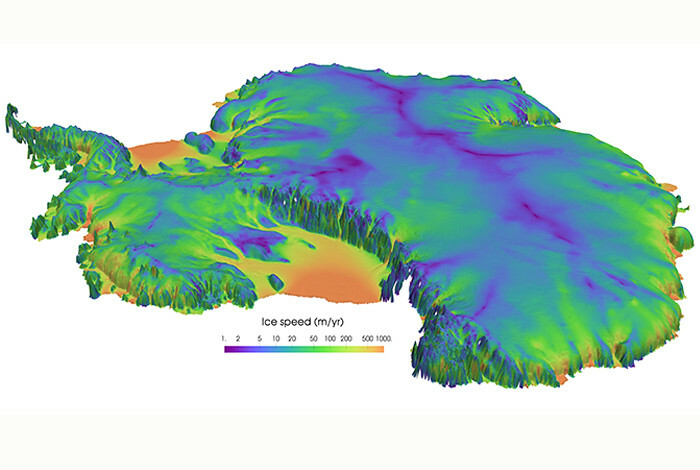 A team led by ice sheet modelers is exploring how changes in extensive, sediment-choked subglacial “swamps” actually explain why the ice sheet’s movement slows down in late summer and winter. 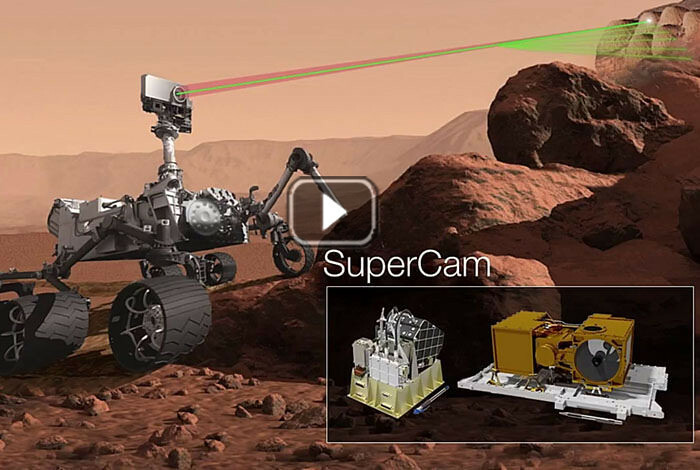 The boron was identified by the rover’s laser-shooting Chemistry and Camera (ChemCam) instrument, which was developed at Los Alamos National Laboratory in conjunction with the French space agency. 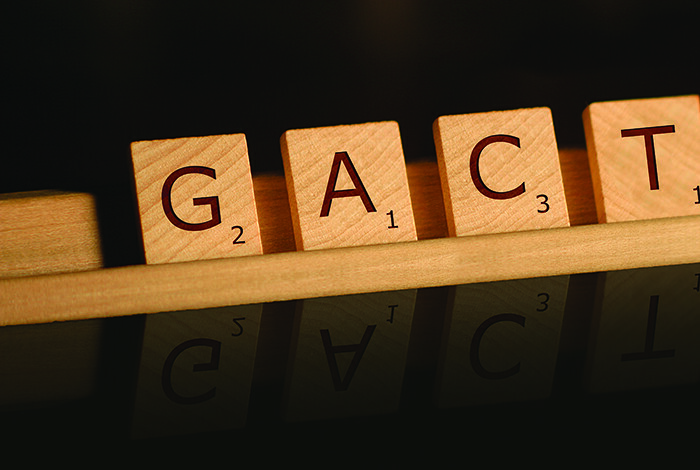 The ability to quickly analyze genetic data stands to revolutionize research into everything from the mutations causing various cancers to the “Second You,” your microbiome, or the bacteria living inside you. 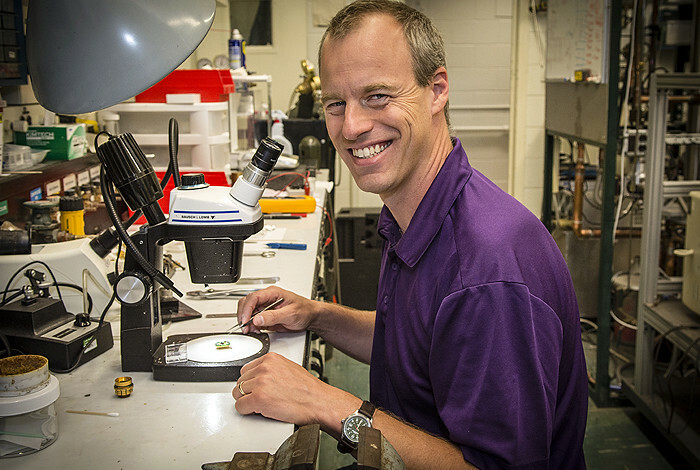 Scientists from Los Alamos National Laboratory are using high performance computing to investigate how an asteroid’s kinetic energy is transferred to the atmosphere and ocean. 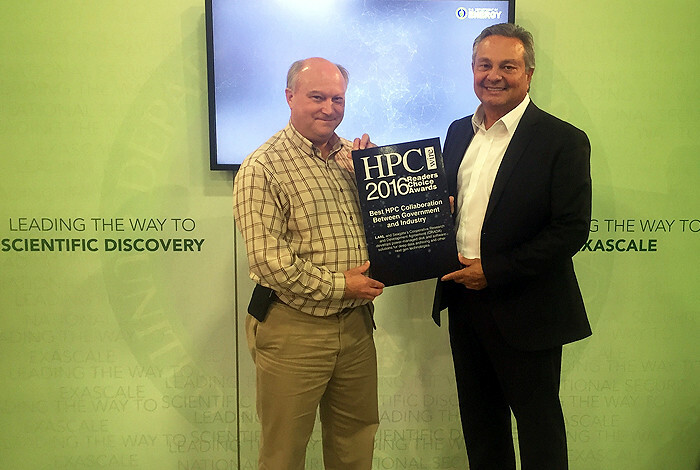 Los Alamos National Laboratory has been recognized for the Lab’s collaboration with Seagate on next-generation data storage technologies. 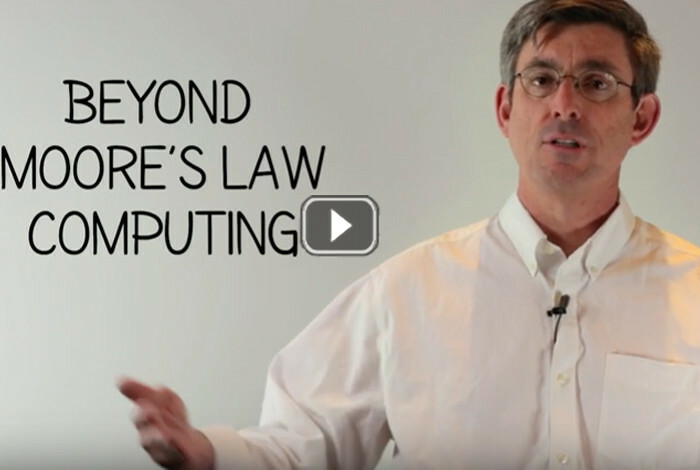 As part of its national security science mission, Los Alamos National Laboratory and HPC have a long, entwined history dating back to the earliest days of computing. 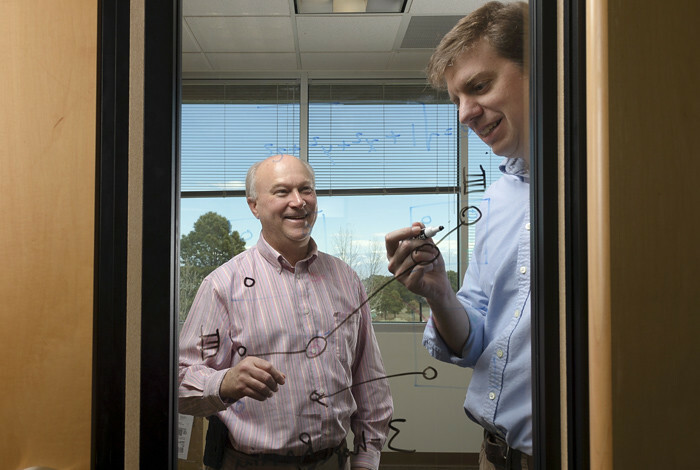 A team at Los Alamos National Laboratory developed two innovative memory management and storage technologies. 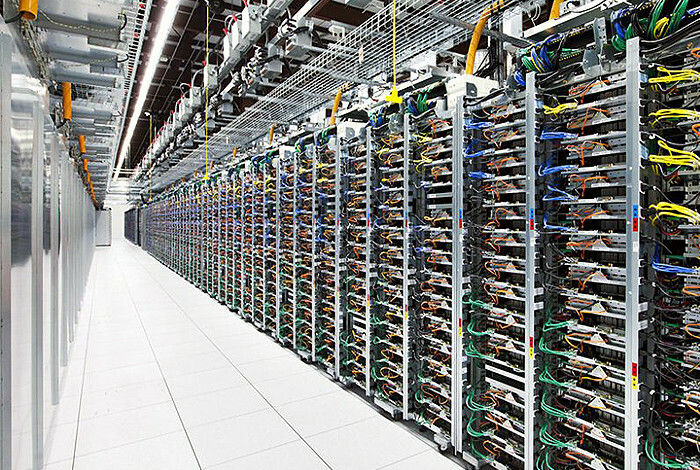 Exascale computing refers to computing systems capable of at least one exaflop or a billion billion calculations per second (1018). 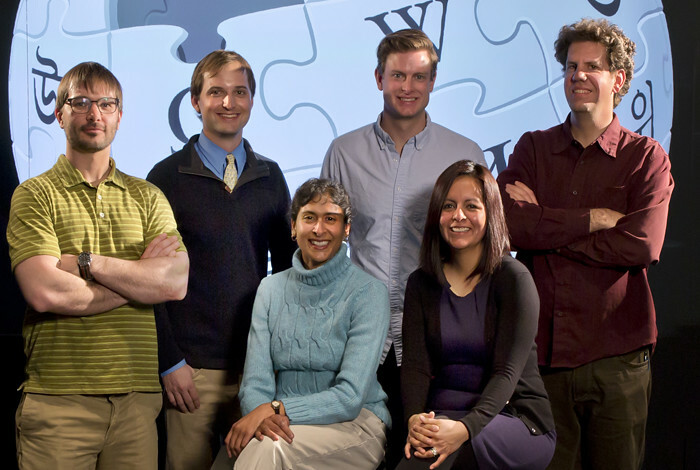 Lab researchers use mathematics, computer science, statistics and other information to determine how disease develops and spreads. 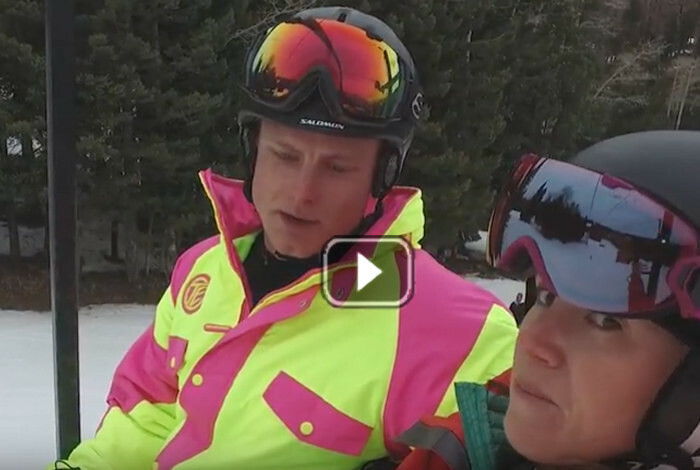 The first year is funded at $12 million, and is to be allocated evenly among the four award recipients. 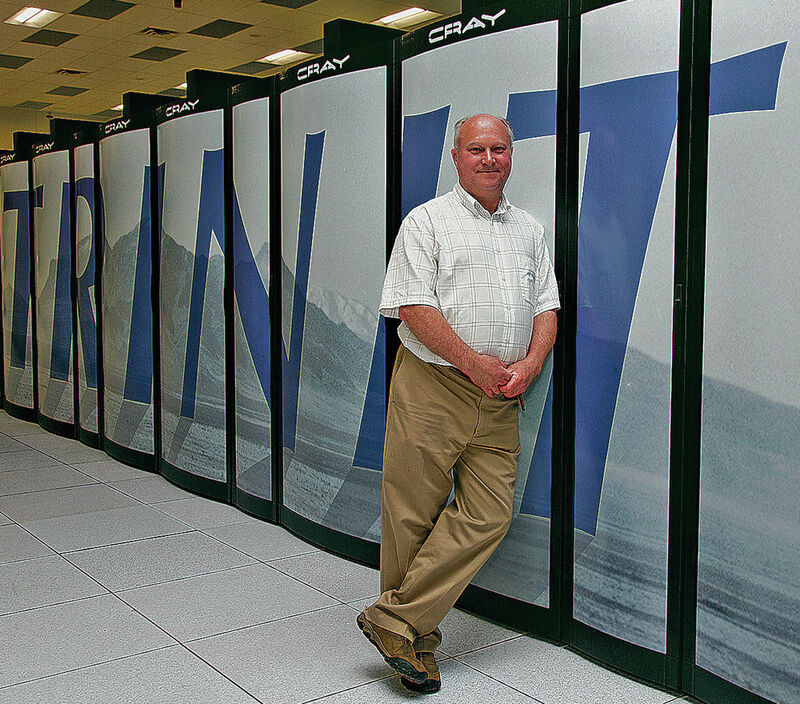 The Department of Energy’s Exascale Computing Project announced the selection of 35 software development proposals representing 25 research and academic organizations. 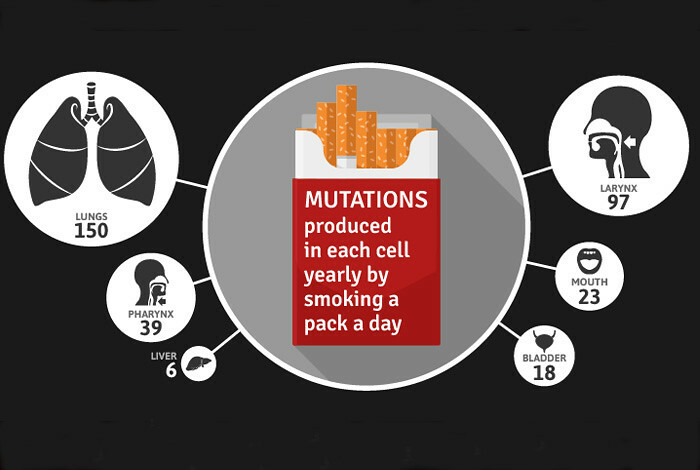 A study of cancer genome sequences identifies telltale mutational signatures associated with smoking tobacco. 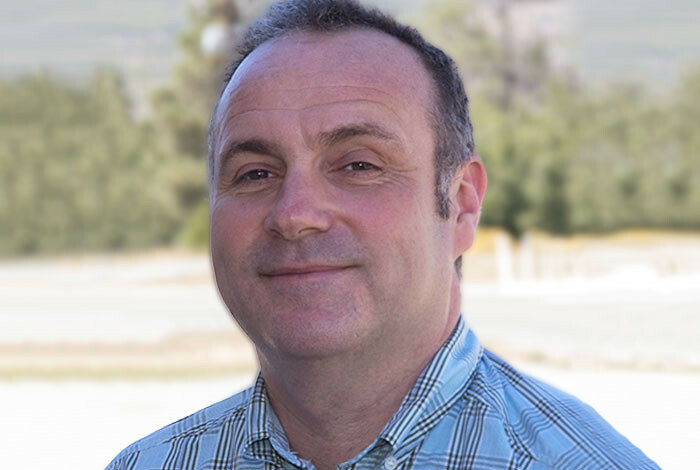 Iain May recognized for his work towards ensuring the reliability and domestic supply of a critical medical isotope used for diagnostic imaging. 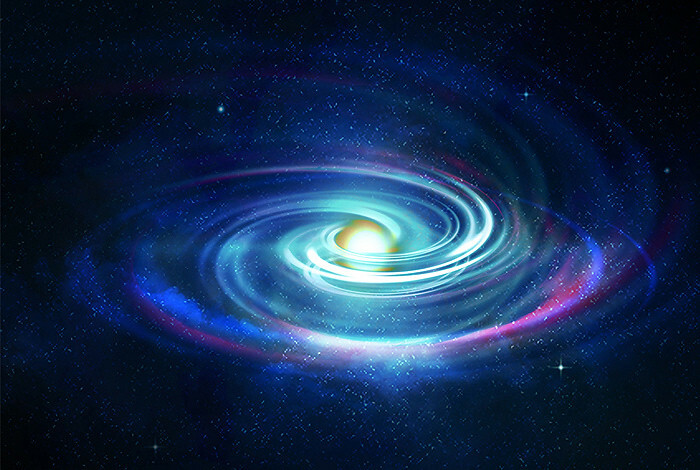 Comparing computer simulations to observations aids understanding of binary star formation. 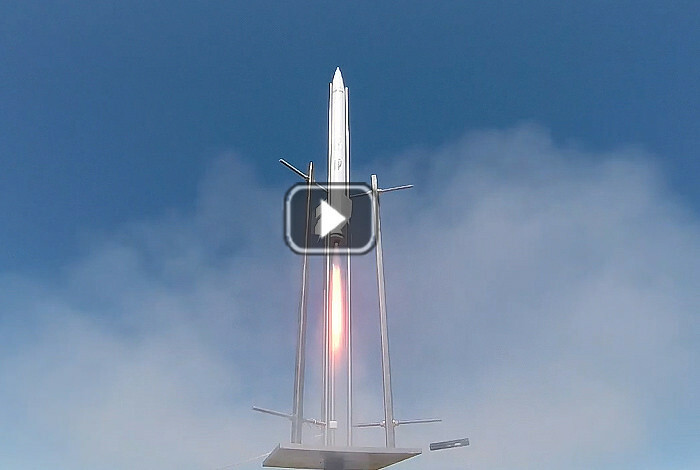 Researchers at Los Alamos National Laboratory have developed a rocket motor concept that could pave the way for CubeSats zooming across space. 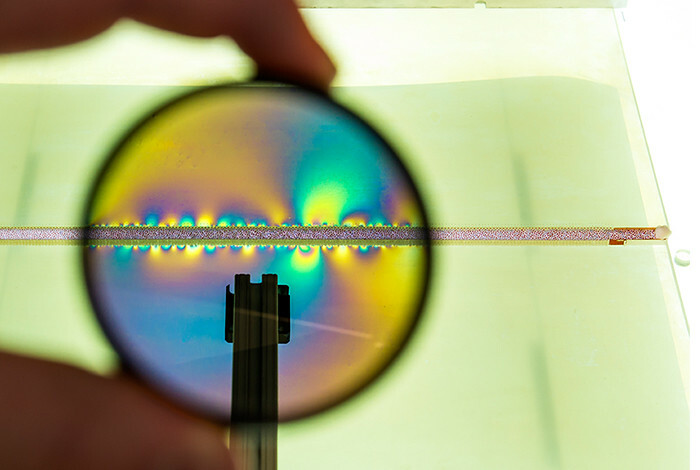 A Los Alamos National Laboratory research team demonstrates an important step in taking quantum dot, solar-powered windows from the laboratory to the construction site. 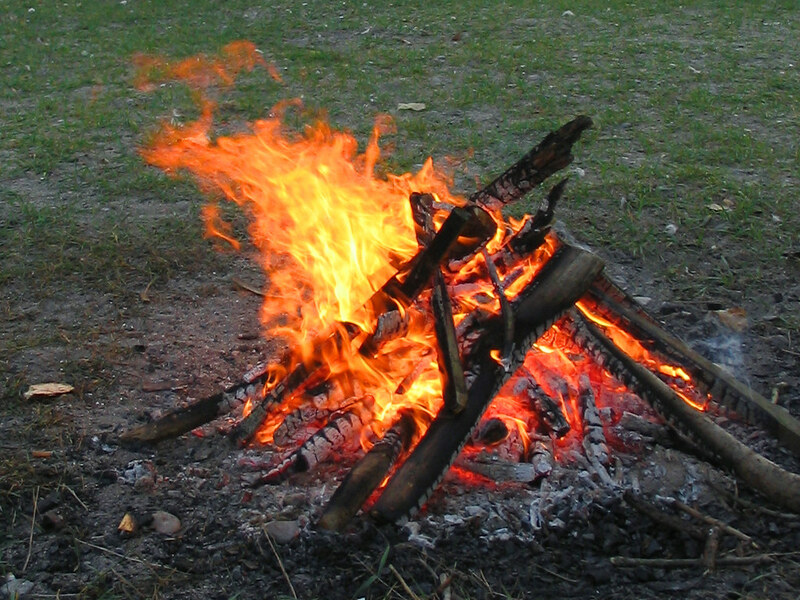 At least half of the black carbon in the atmosphere is a result of biomass burning. 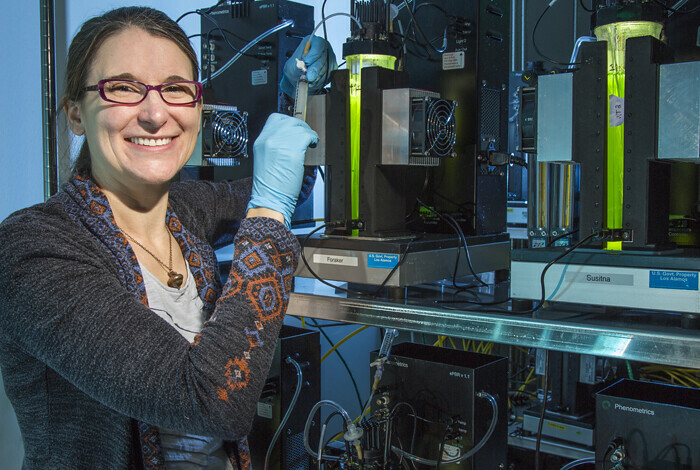 Allison Aiken collects data about the black carbon aerosols within this plume and their impact on the environment to help improve global climate modeling. 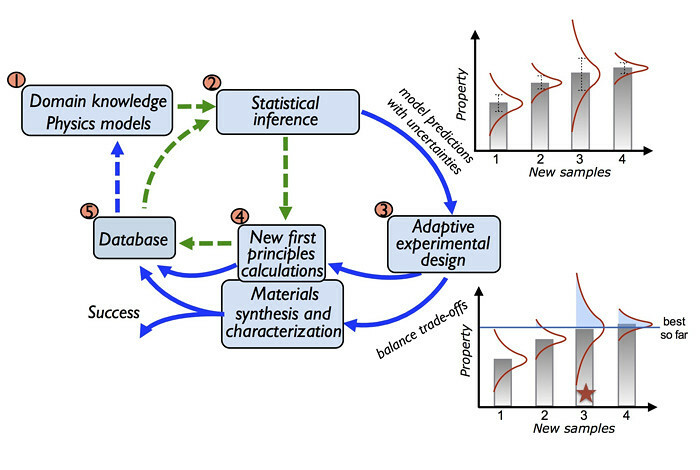 Picture of the Week: Better climate models? 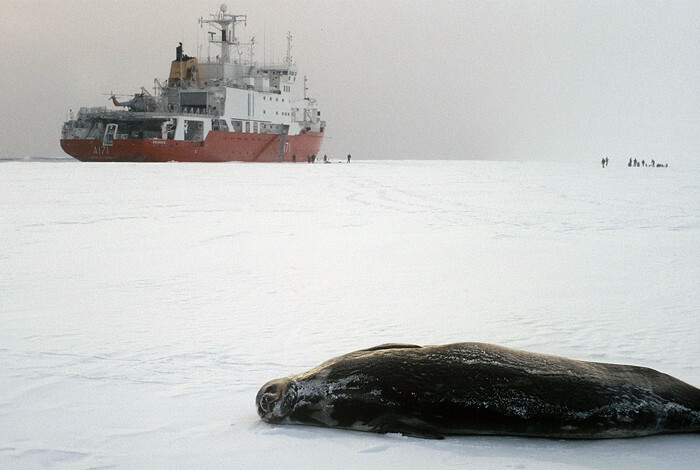 Just add ice. 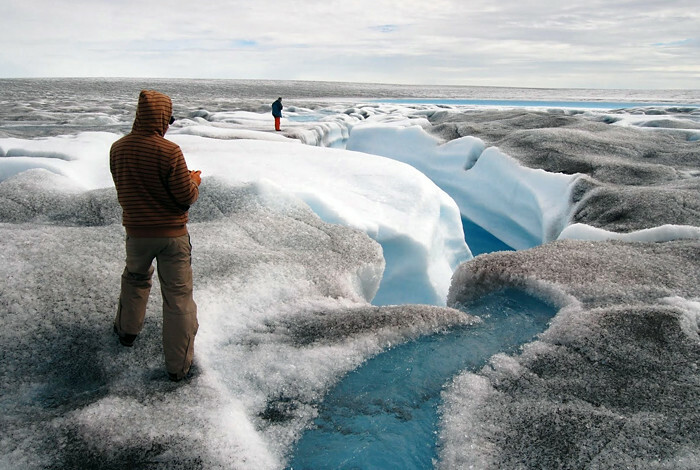 With the help of supercomputers, Los Alamos scientists are modeling ice sheets to predict sea level rise and coupling ice sheet models to climate models to sharpen their predictive capabilities. 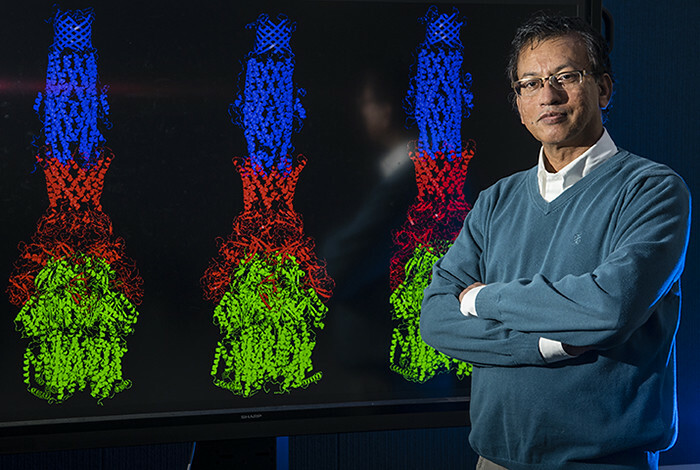 A special stretch of ribonucleic acid (RNA) called COOLAIR is revealing its inner structure and function to scientists, displaying a striking resemblance to an RNA molecular machine. 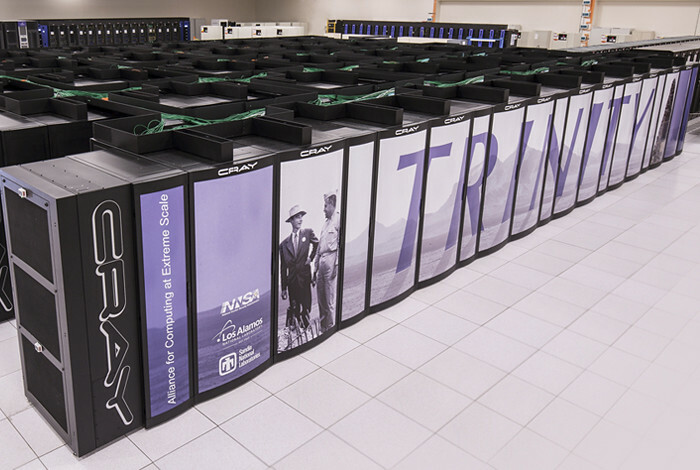 As the Lab begins testing the second half of its new supercomputer, Trinity, the occasion highlights how intertwined scientific breakthroughs and computer innovations have become — and what a seminal and central role Los Alamos has played in that synergy. 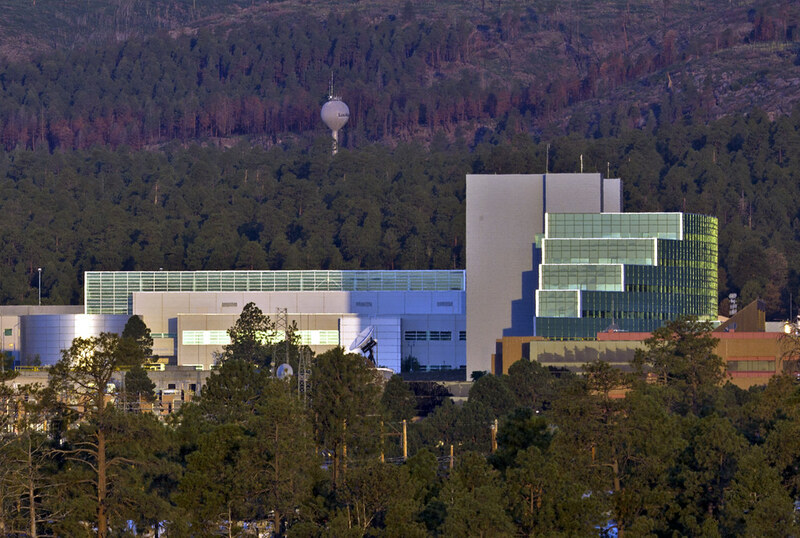 Six Los Alamos National Laboratory partnership projects were tagged for full funding and one for seed money. 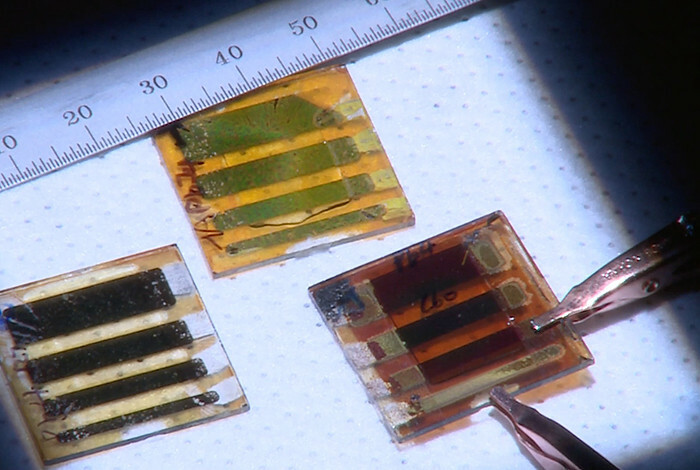 Although the goal of cheap, plentiful energy from the sun turns out to be a work in progress, not a settled achievement, recent research breakthroughs are helping to deliver on the promise of truly “cheap solar,” with several surprising side benefits. 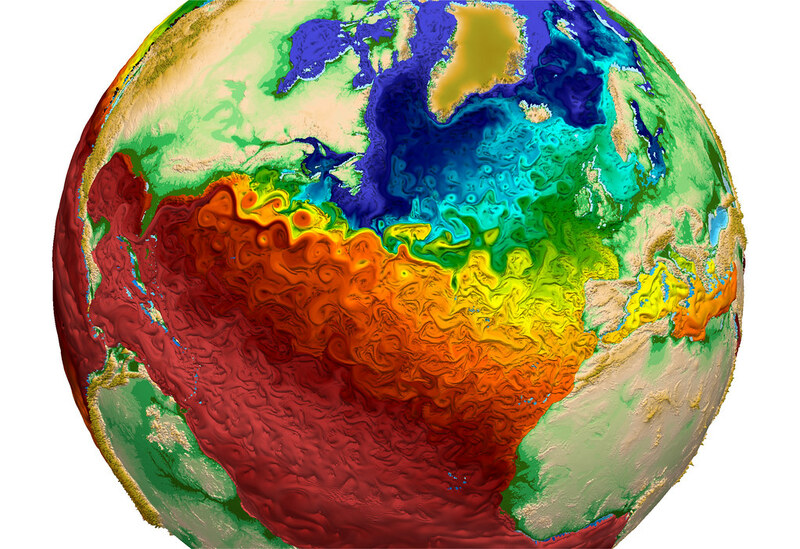 The research offers promise for refining Earth system models that help predict climate change impacts and feedbacks. 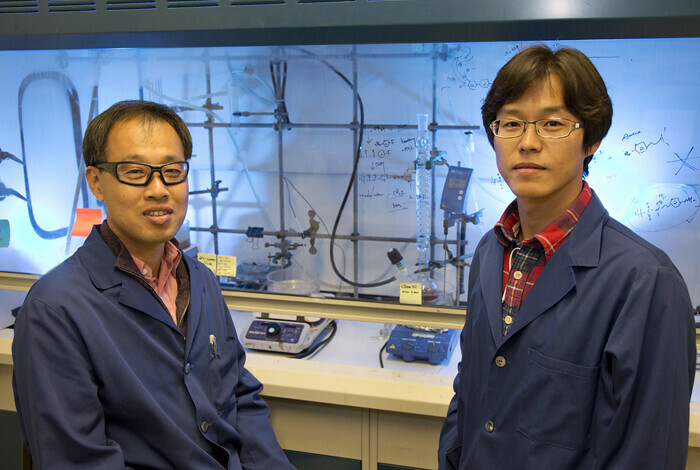 A new class of fuel cells based on a newly discovered polymer-based material could bridge the gap between the operating temperature ranges of two existing types of polymer fuel cells. 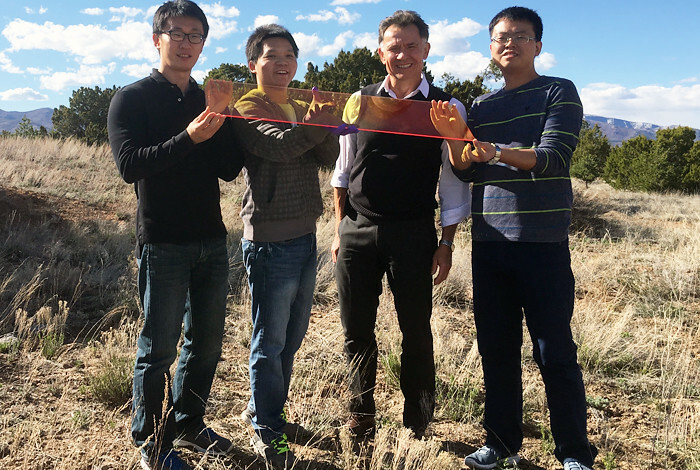 Pajarito Powder, LLC, (Albuquerque), NanoSonic (Pembroke, Va.) and Ion Power (New Castle, Del. 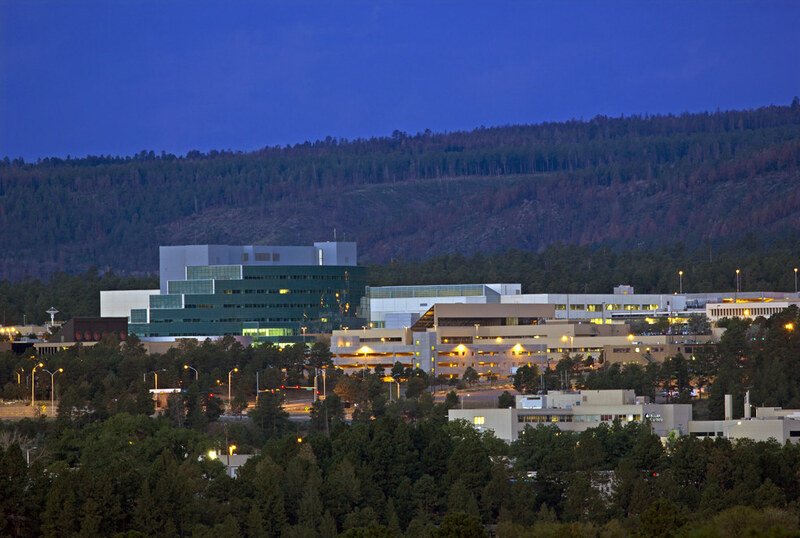 ), are the recipients that will partner with Los Alamos. 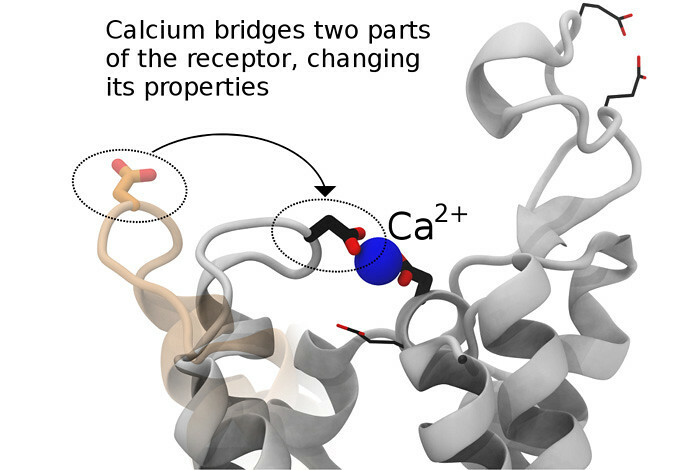 The insights from this study could provide the needed chemical information to develop ways to bind actinium so that it can be safely transported through the body to the tumor cell. 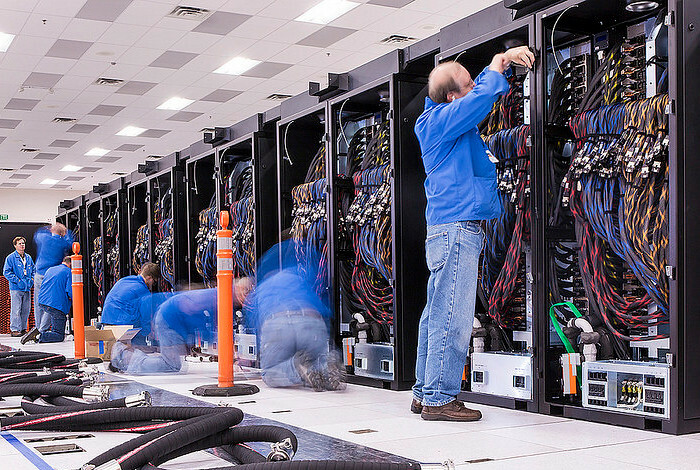 A moment of inspiration during a wiring diagram review has saved more than $2 million in material and labor costs for the Trinity supercomputer. 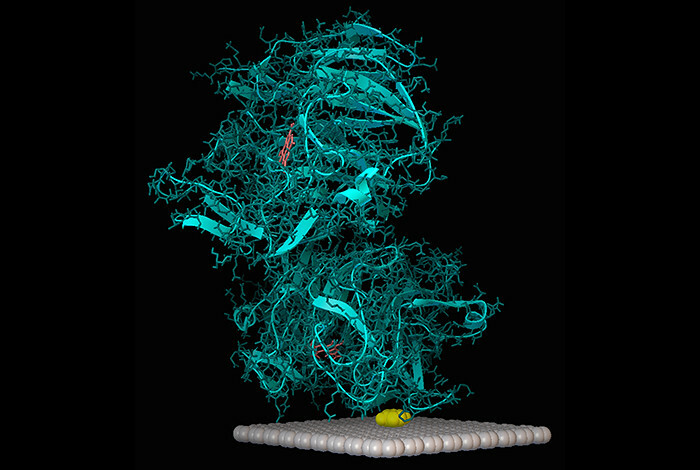 To better understand autophagy in influenza A virus replication, a team of scientists from Los Alamos’ Biosecurity and Public Health group are taking a closer look at the role of Beclin-1, one of the key protein players in this intricate game of cellular life and death. 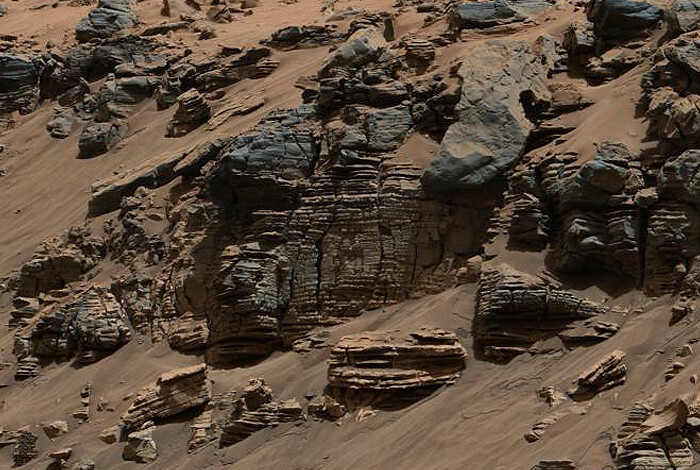 When scientists analyzed the chemical make-up of a Martian rock, they expected to find lots of basalt, the building block of all planets. 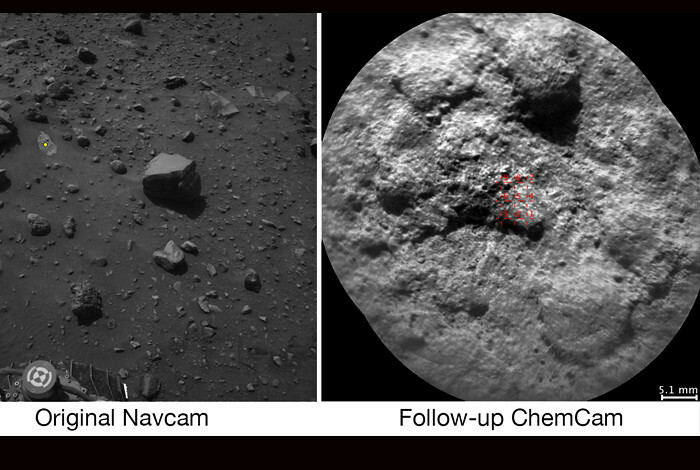 New software is enabling ChemCam to select rock targets autonomously—the first time autonomous target selection is available for an instrument of this kind on any robotic planetary mission. The study reports that the deepest part of California’s 800-mile-long San Andreas Fault is weaker than expected and produces small earthquakes in response to tidal forces. 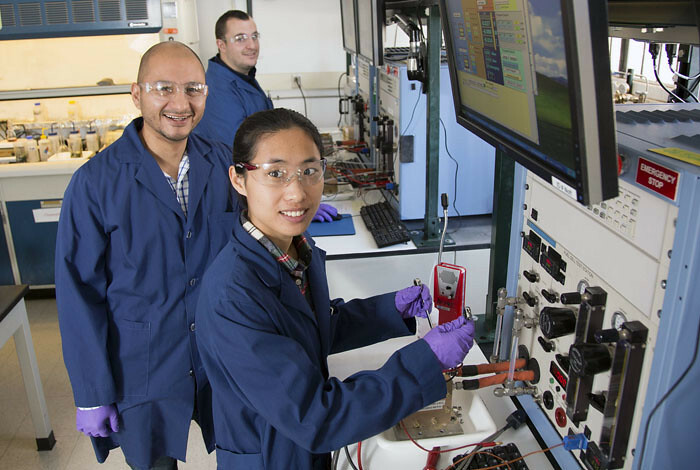 Los Alamos, within the ElectroCat consortium, is investigating less expensive, more abundant materials based on carbon compounds to reduce the cost of ownership of a fuel-cell powered car so this clean power can compete in the marketplace. 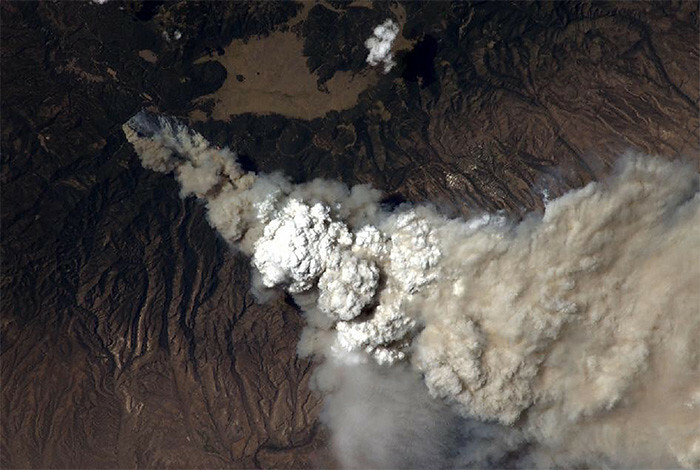 Understanding what drives big fires and predicting their behavior helps the fire community prepare for the next blaze through appropriate land management, emergency plans and firefighting strategies. 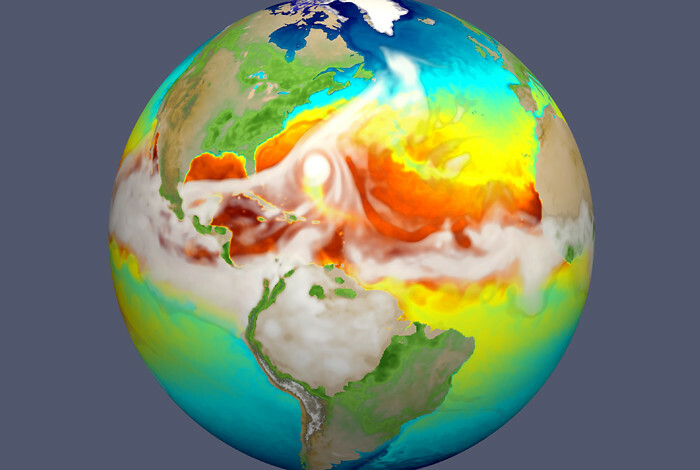 The model provides additional scientific input for decisions by policymakers working in land management, water resources and energy. 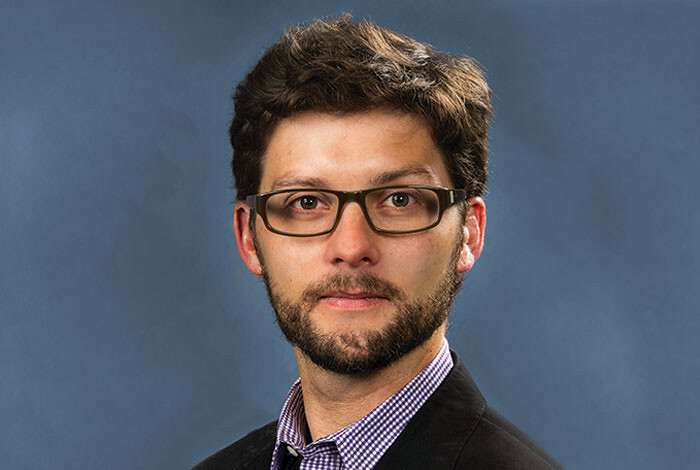 Ludmil Alexandrov is the winner of the 2016 Carcinogenesis Young Investigator Award. 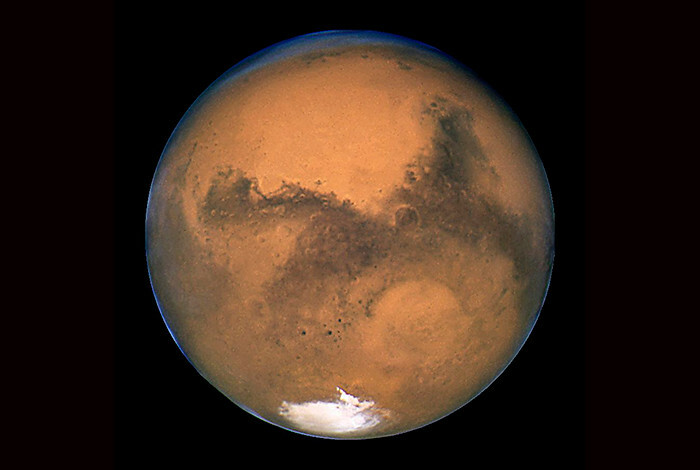 A recent discovery of manganese oxides in Martian rocks might tell us that the Red Planet was once more Earth-like than previously believed. 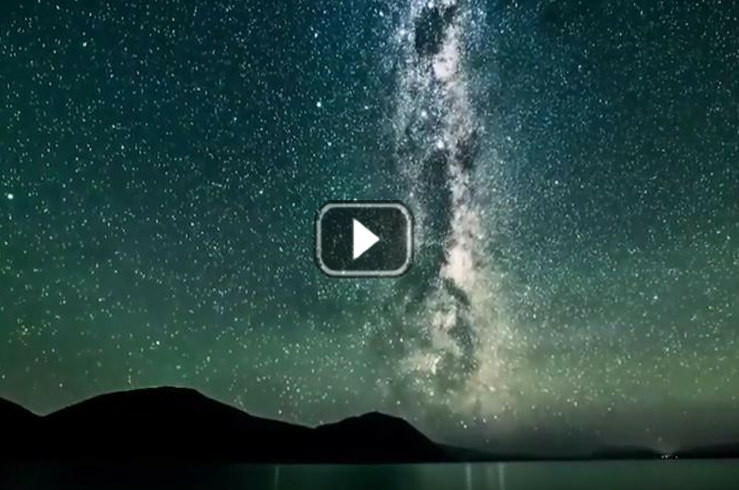 Results will also be used to understand basic questions about nature such as the cooling mechanisms of the early universe and the formation of planets and stars. 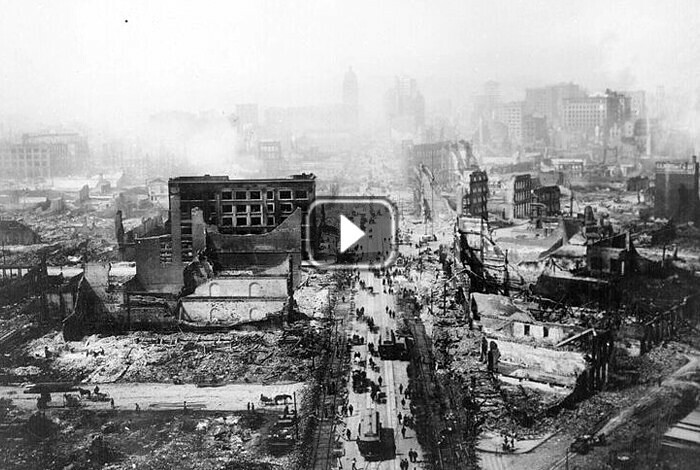 Could we someday predict earthquakes? 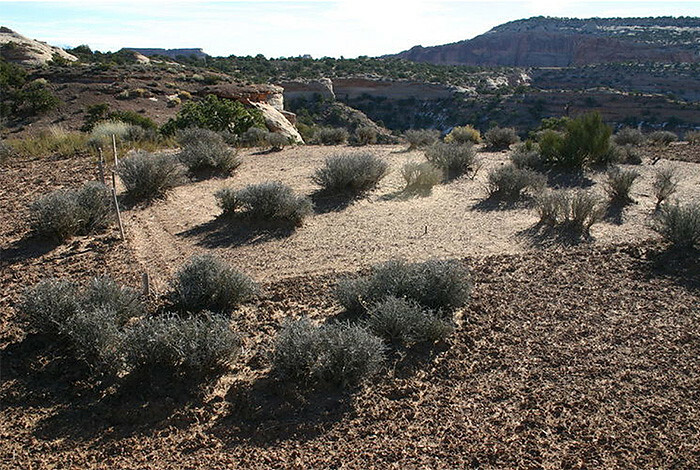 The survival of desert biocrusts is being challenged by threats from climate change and man-made disturbance. 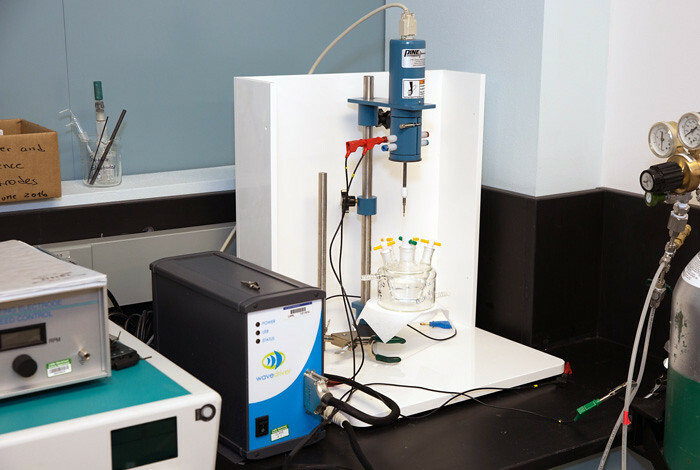 Understanding how to use a simple, room-temperature treatment to drastically change the properties of materials could lead to a revolution in renewable fuels production and electronic applications. 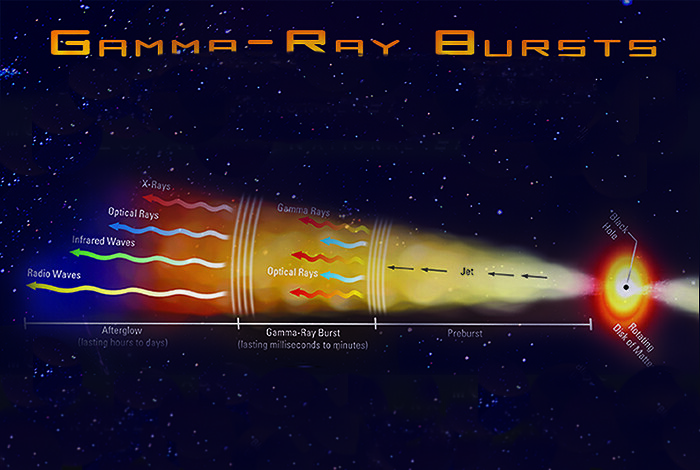 Los Alamos researchers developed a computer code, called BURST, that can simulate a slice in the life of our young cosmos. 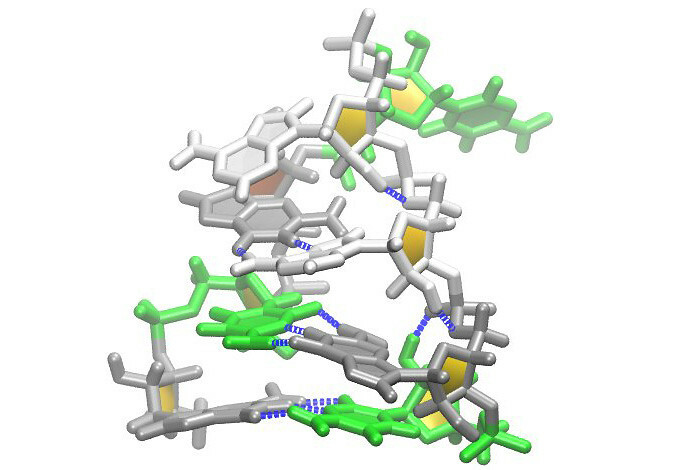 New molecular dynamics research into how RNA folds into hairpin-shaped structures called tetraloops could provide important insights into new treatments for retroviral diseases. 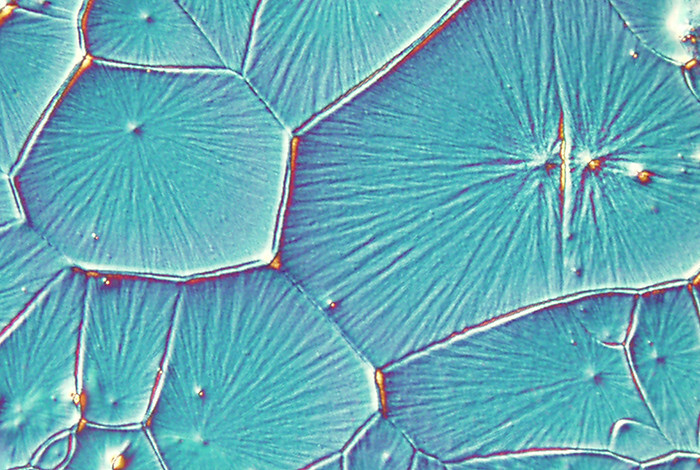 A new study has found both the cause and a solution for the pesky tendency of perovskite solar cells to degrade in sunlight. 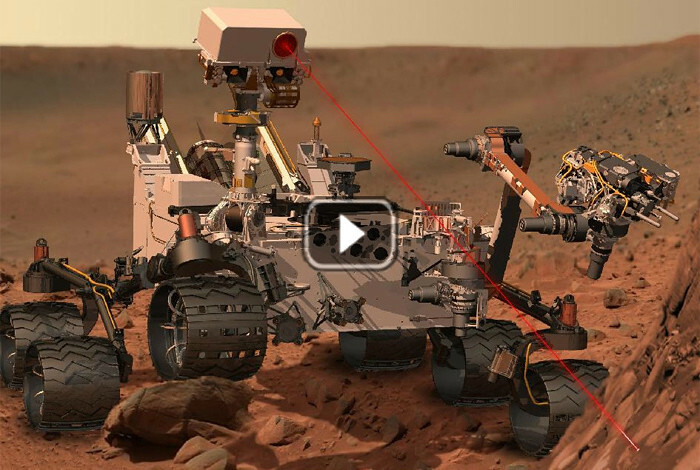 After nearly 1,500 rock zaps, ChemCam has uncovered some surprising facts about the Red Planet, including the discovery of igneous rocks. 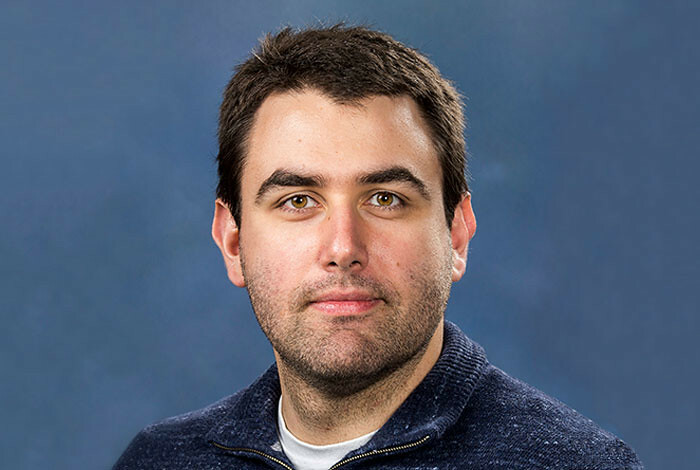 Jonathan Ward Engle, is among 49 winners, of the US Department of Energy’s Early Career Research Program awards for 2016. 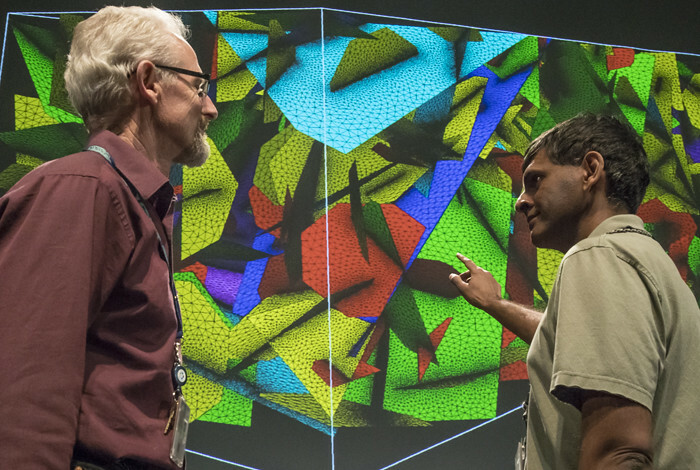 Los Alamos scientists perform the first 3D simulation of electromagnetic radiation interacting with explosives. 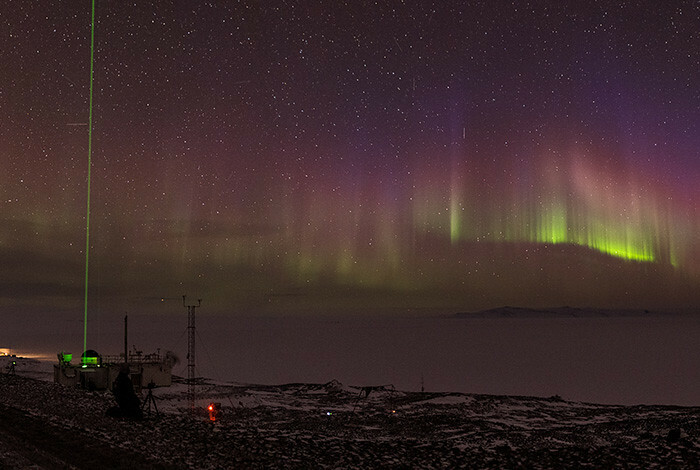 Using data from their portable Antarctic observatory, researchers from the Atmospheric Radiation Measurement (ARM) Climate Research Facility hope to develop a comprehensive explanation for the warming of the West Antarctic Ice Sheet. 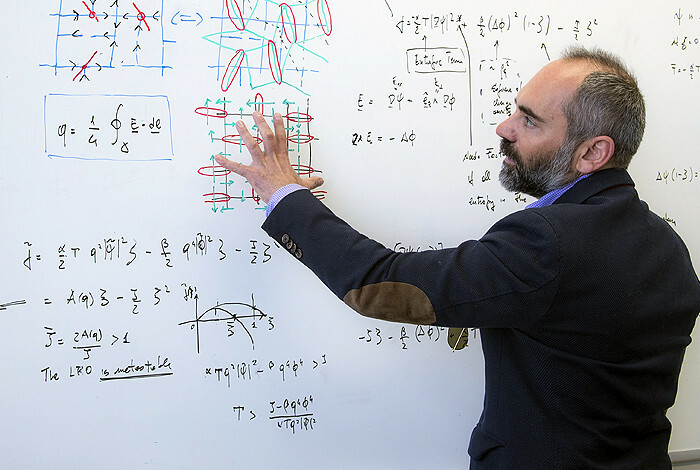 Researchers recently demonstrated how an informatics-based adaptive design strategy, tightly coupled to experiments, can accelerate the discovery of new materials with targeted properties. 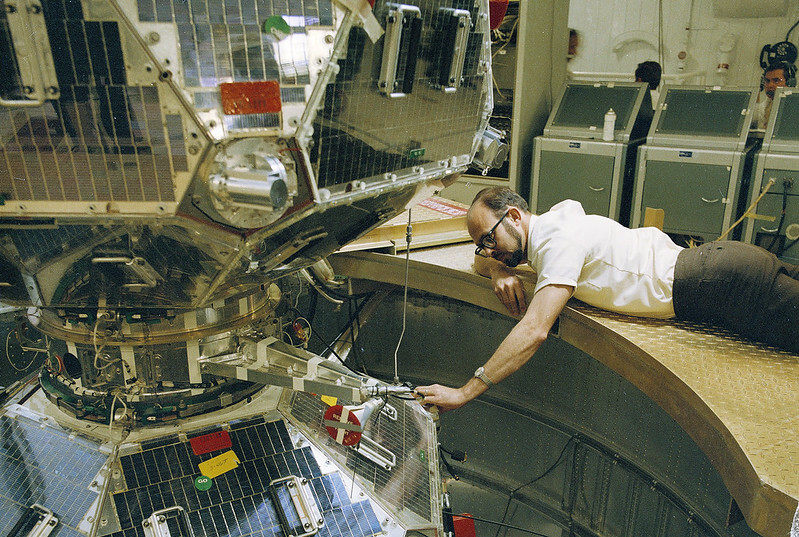 When cube satellites first sprung on the scene in the late 1990s, they were seen as cheap, cute and novel. 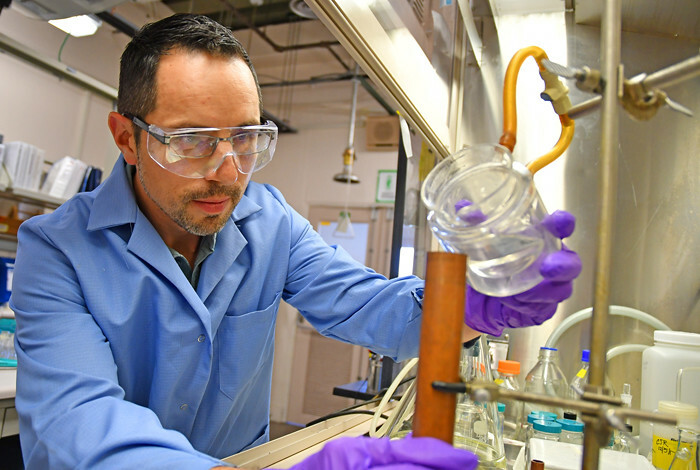 Los Alamos theoretical physicists and chemists are using computers to develop more efficient ways of converting biofuels into electricity by using fuel cells. 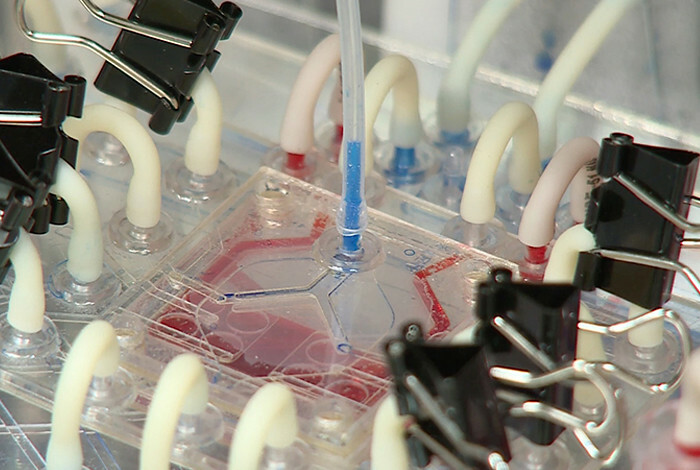 Scientists are developing a miniature, tissue-engineered artificial lung that mimics the response of the human lung to drugs, toxins and other agents. 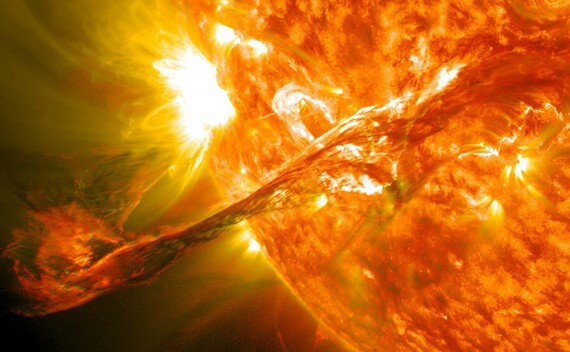 The Sun continually ejects high-energy electrons, protons, and other nuclei that bombard the Earth, producing space-weather effects such as the beautiful northern lights but also others that can destroy satellites and disrupt our lives here on Earth. 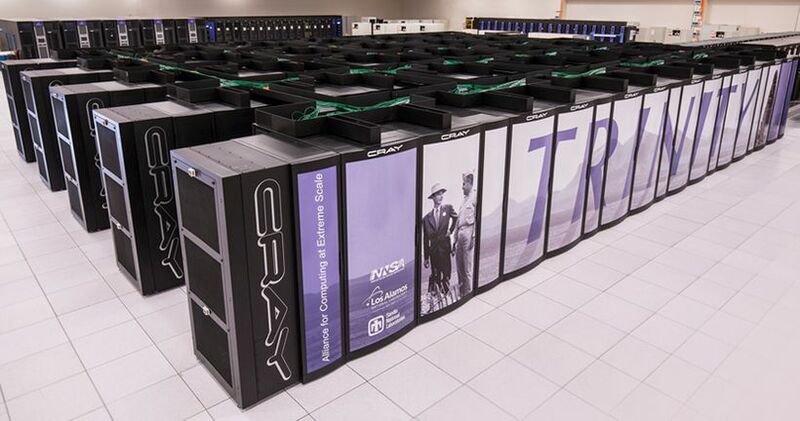 Trinity is a 42-petaflop supercomputer (that’s one quadrillion floating point operations per second, in case you’re counting) that resides at Los Alamos National Laboratory and can perform complex 3D simulations of everything from ocean currents to asteroid impacts. 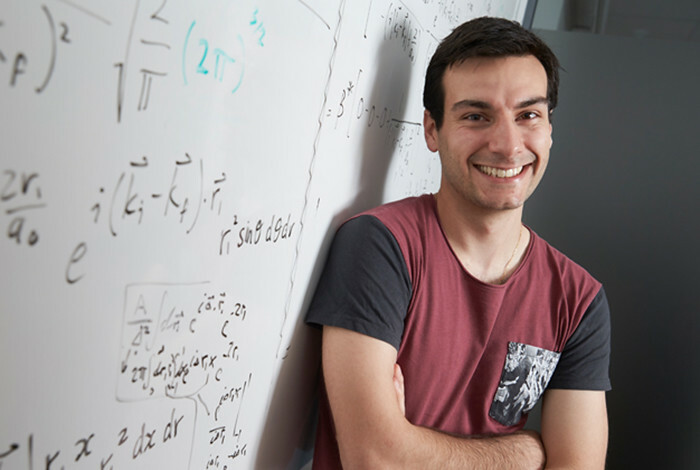 The code simulates conditions during the first few minutes of cosmological evolution to model the role of neutrinos, nuclei and other particles in shaping the early universe. 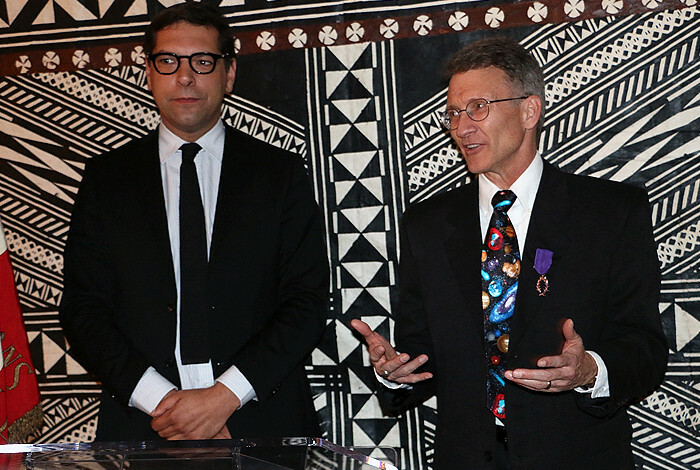 Roger Wiens was awarded the honorary title of chevalier (knight) in France’s Academic Order of Palms for his work in forging strong ties between the French and American scientific communities. 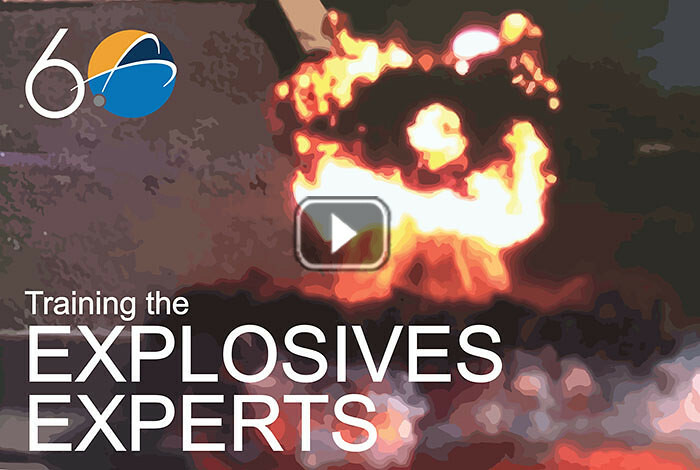 This science and hands-on training is critical for keeping EOD techs safe and helping them save lives. 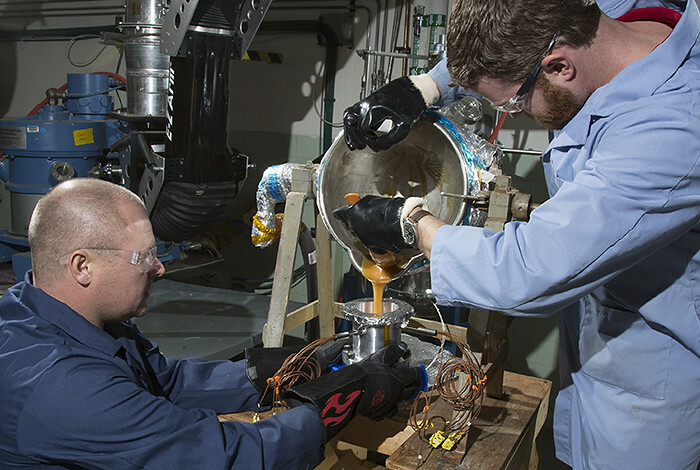 Los Alamos and Sandia National Laboratories have recently conducted plutonium experiments using Sandia's pulsed power Z Machine. 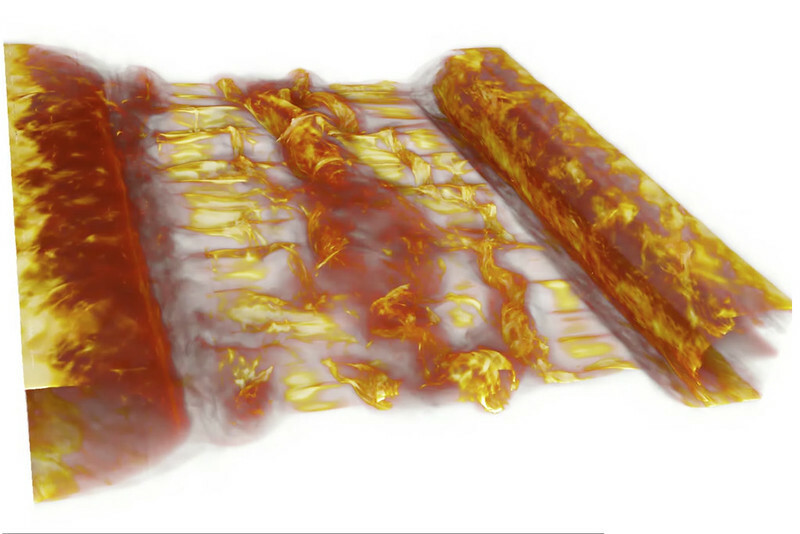 This research provides the first comprehensive understanding of water’s role within graphene oxide nanosheets (functionalized graphene sheets). 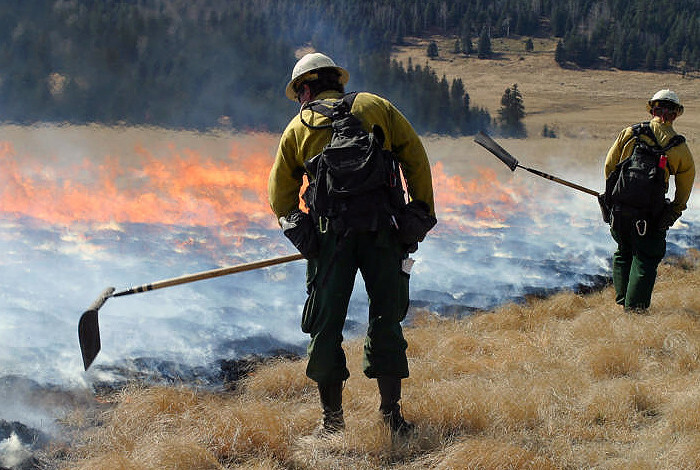 Climate-driven heat-stress and forest mortality on the Colorado River watershed are expected to reduce river flows basin-wide out to the year 2100. 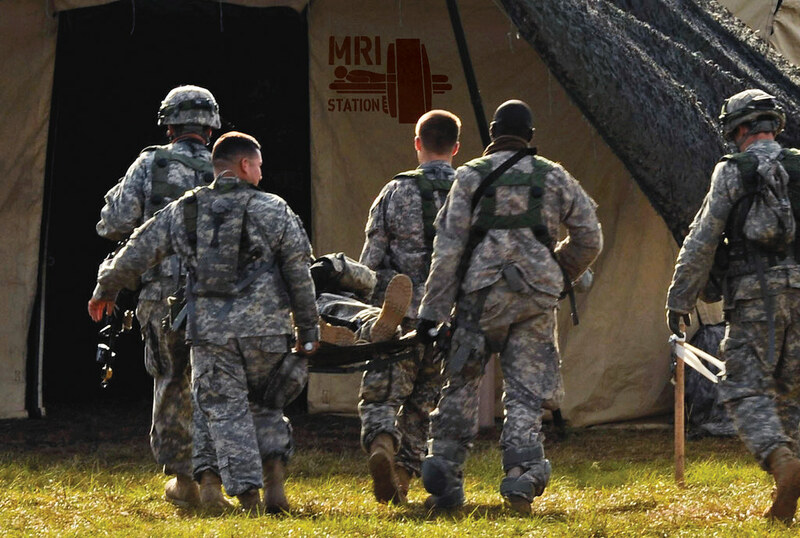 Los Alamos scientists developed a portable MRI, also called Battlefield MRI that uses ultra-low-field magnetic resonance imaging to create images of the brain that can be used in field hospitals for wounded soldiers or in remote villages in developing countries. 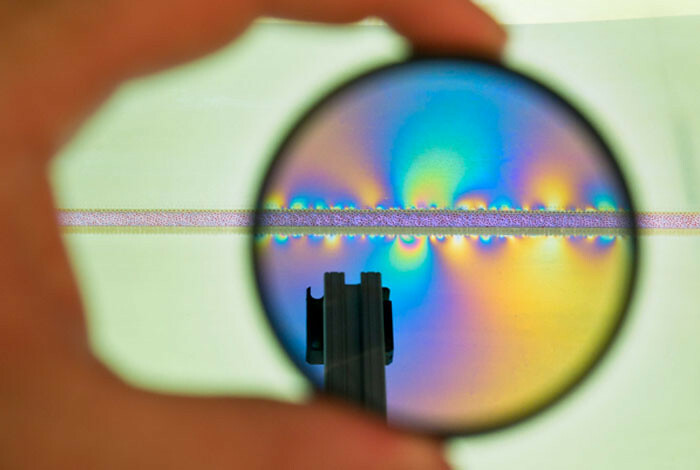 New ways of looking at seismic information and innovative laboratory experiments are offering tantalizing clues to what triggers earthquakes — and when. 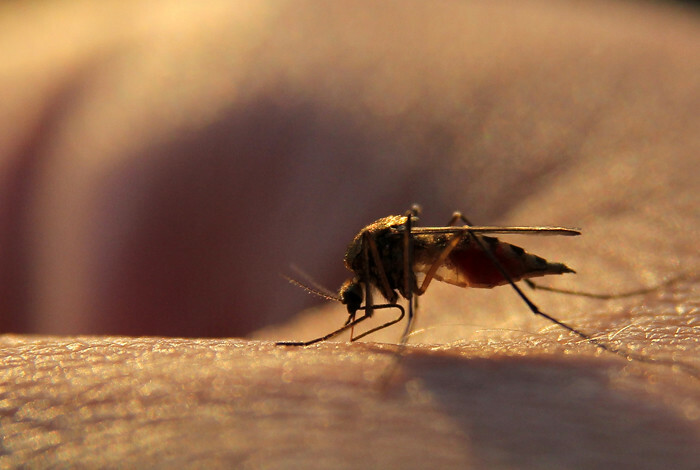 What if we could forecast infectious diseases the same way we forecast the weather, and predict how diseases like Dengue, Typhus or Zika were going to spread? 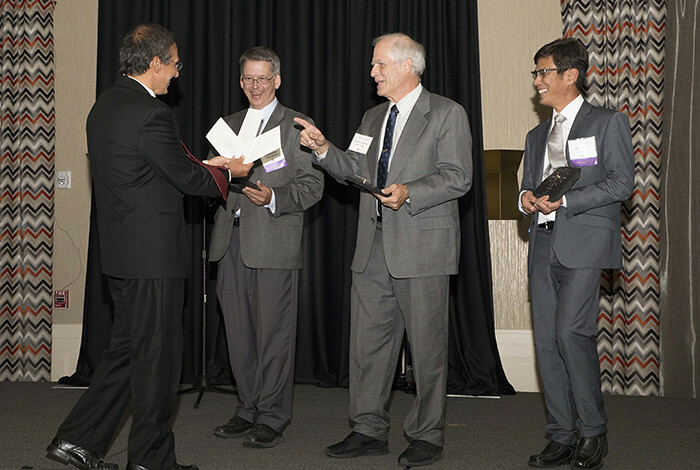 Laboratories have teamed up to support a DOE initiative through the creation of the Electrocatalysis Consortium (ElectroCat). 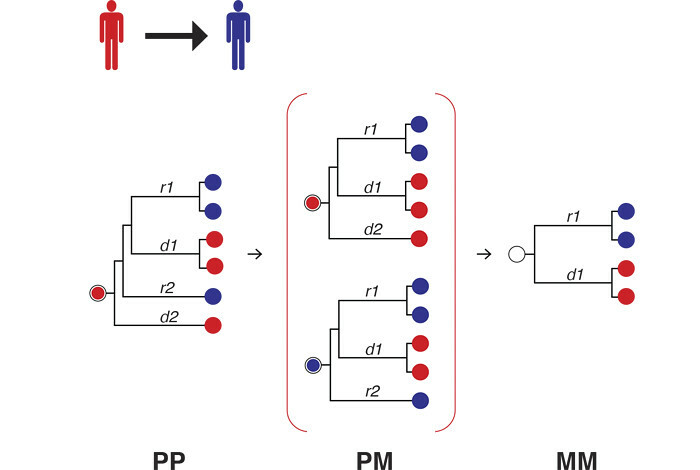 The team used computational phylogenetic analysis to examine how strains of HIV, both in computer modeling and compared with real-life case studies, would be transmitted. During the last year, the Iran nuclear deal has successfully rolled back Iran’s nuclear program. 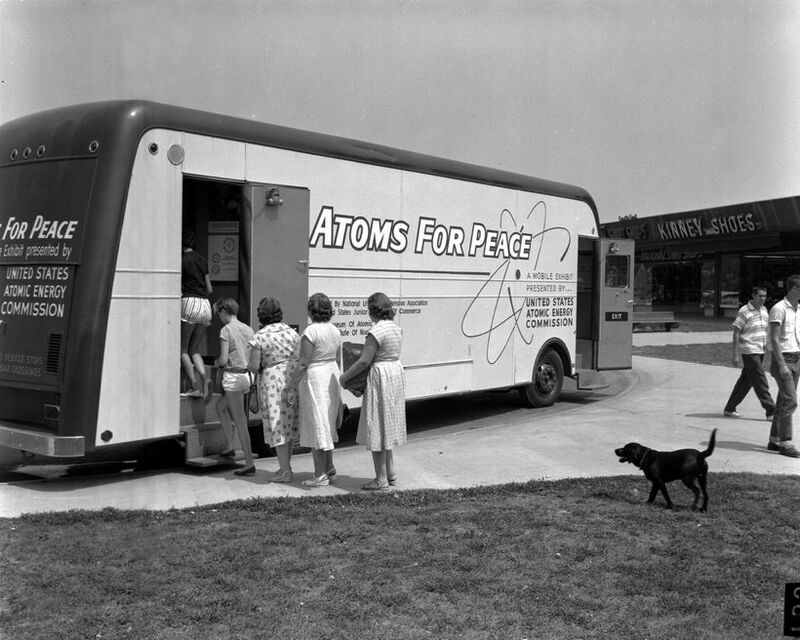 Los Alamos National Laboratory was integral to verification and training. 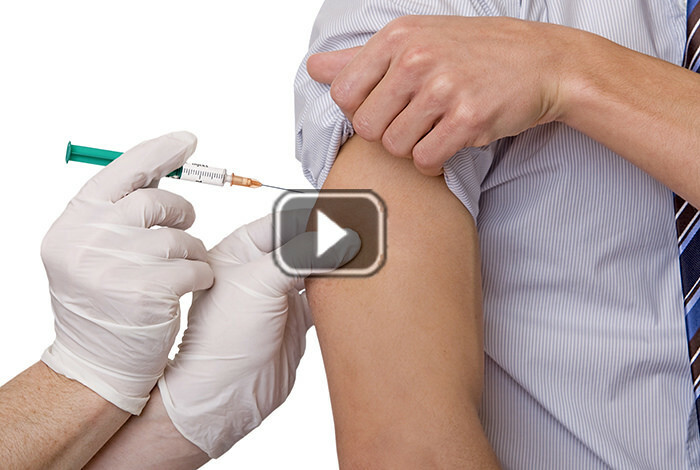 Why is Zika now a threat? 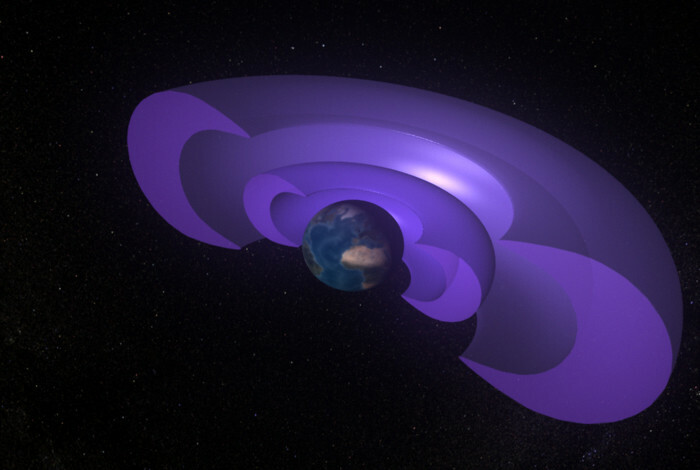 Understanding the shape and size of the belts, which shrink and swell in response to magnetic storms coming from the sun, is crucial for protecting our technology in space. 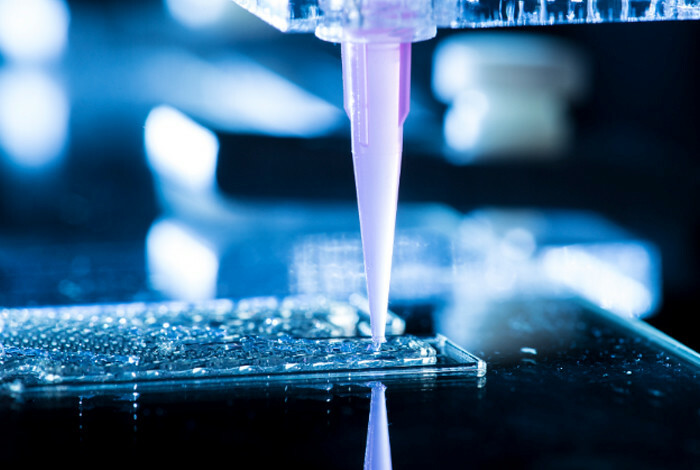 Possible future applications, for example, include making new cancer therapies based on how ribosomes differentiate in healthy versus cancerous tissue. 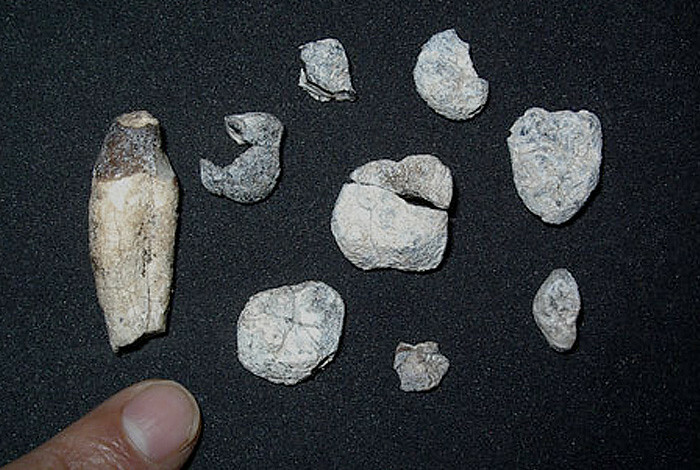 C. abyssinicus revealed answers about gorilla lineage but also provided fossil evidence that our common ancestor migrated from Africa. 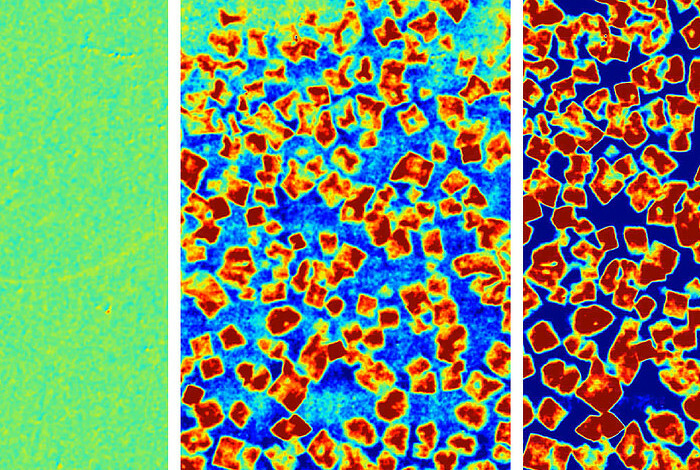 Scientists at Los Alamos National Laboratory are using state-of-the-art experimental techniques to see and understand how microstructures evolve during materials processing. 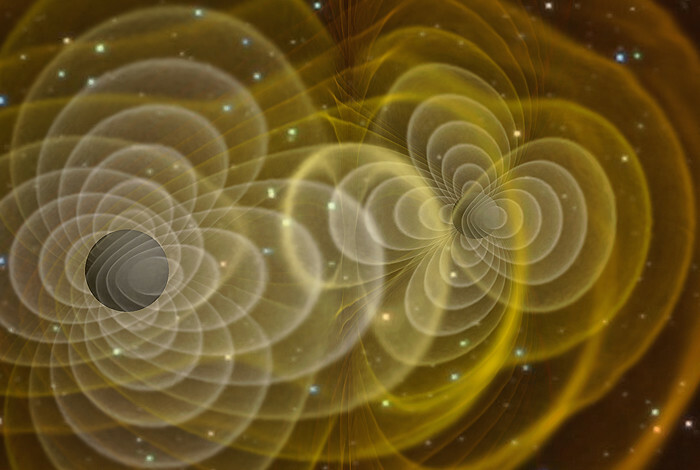 Gravitational waves were predicted by Einstein’s theory of general relativity in 1916, and now, almost exactly 100 years later, the faint ripples across space-time have been found. 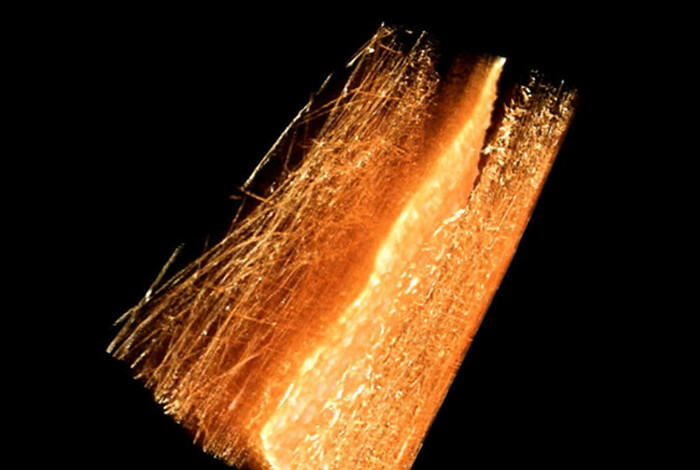 Innovative new imaging systems designed at Los Alamos are helping physicists peer into the roiling world of superhot plasmas. 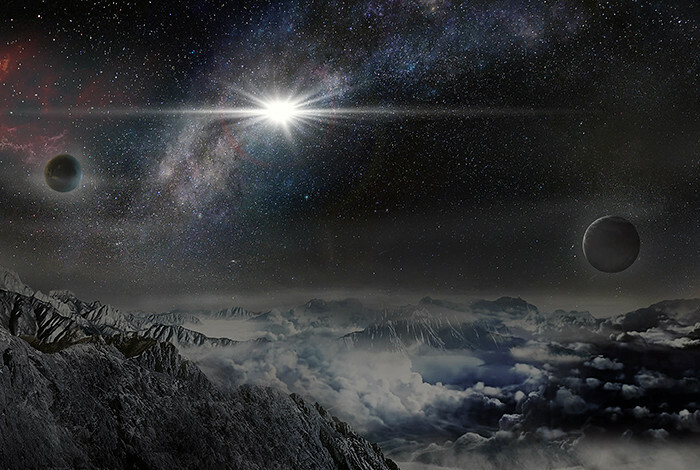 Machine-learning technology developed at Los Alamos National Laboratory played a key role in the discovery of supernova ASASSN-15lh. 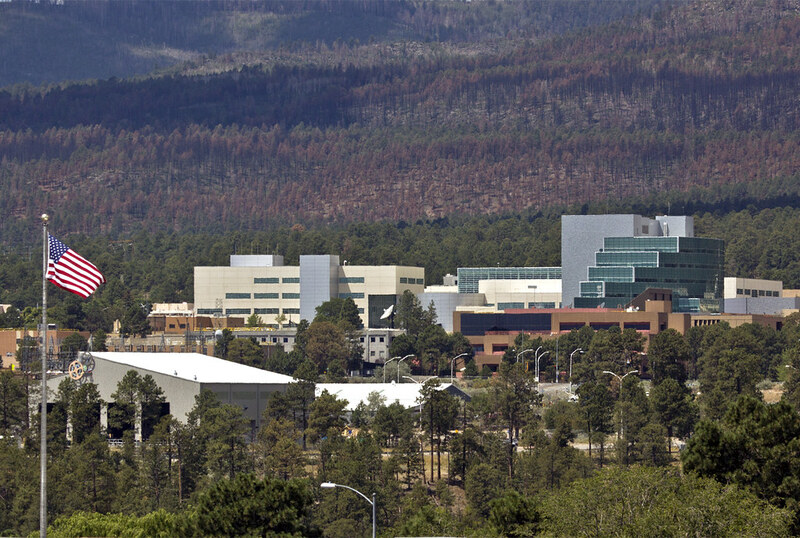 Up to $35.25 million in research funding could come to Los Alamos and its partners. 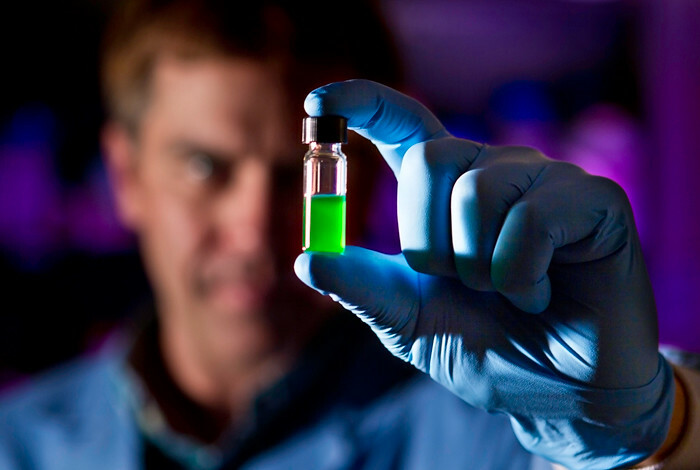 A project led by Los Alamos seeks to drive algal biofuels to marketability, decreasing our nation’s dependence on fossil fuels and putting the brakes on global warming. 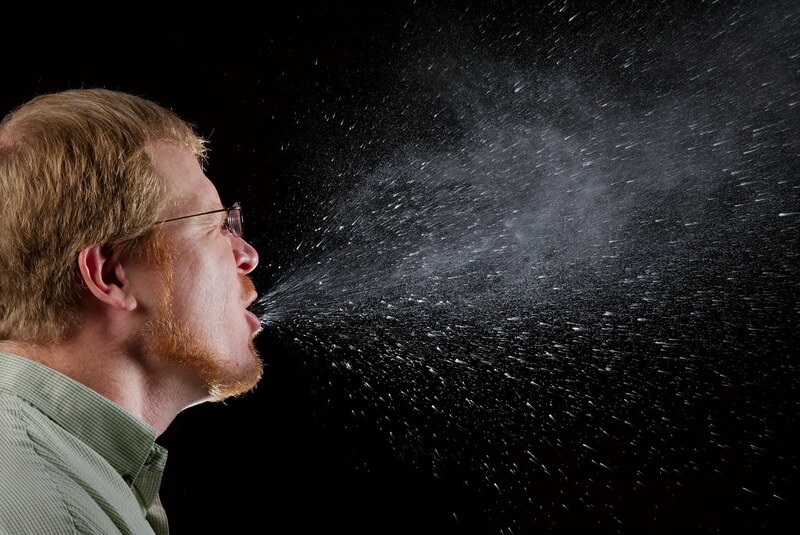 Using mathematics, computer programs, statistics and information about how disease develops and spreads, a research team at Los Alamos National Laboratory found a way to forecast the flu season and even next week’s sickness trends. 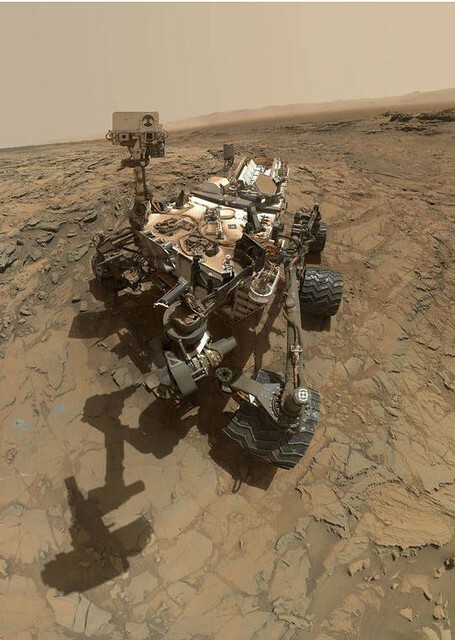 Scientist have found much higher concentrations of silica at some sites the Curiosity rover has investigated in the past seven months than anywhere else it has visited. 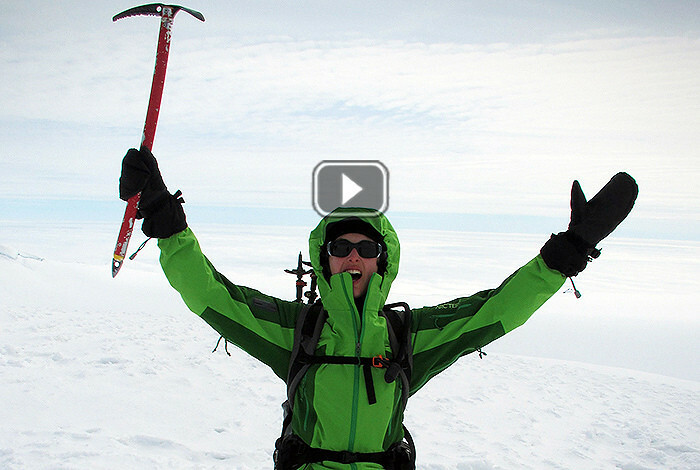 Los Alamos National Laboratory scientist Nina Lanza has signed up to spend nearly six weeks in a tent on the Antarctic ice sheet. 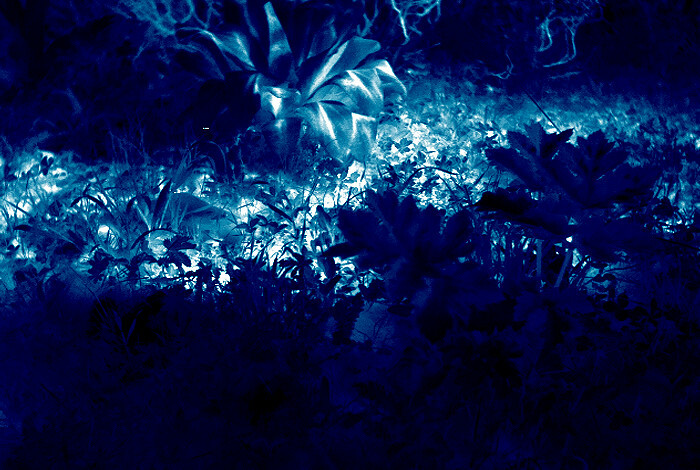 Arid lands constitute over 30% of the Earth's terrestrial surface. 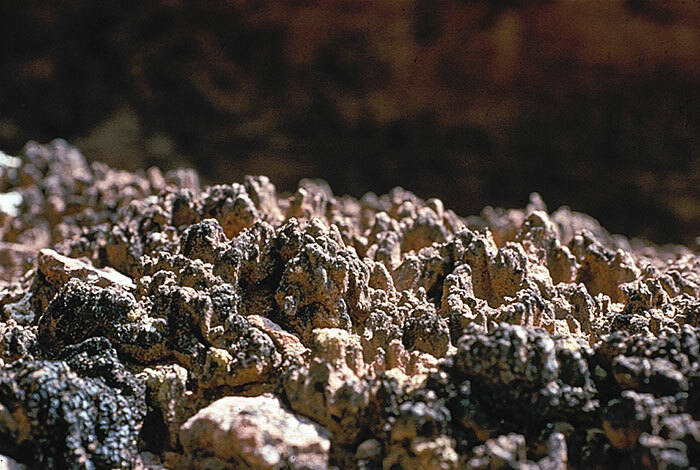 In arid lands worldwide, composite layers called biocrusts, comprising bacteria, fungi, lichens and mosses, cover the soil between the widely spaced plants. 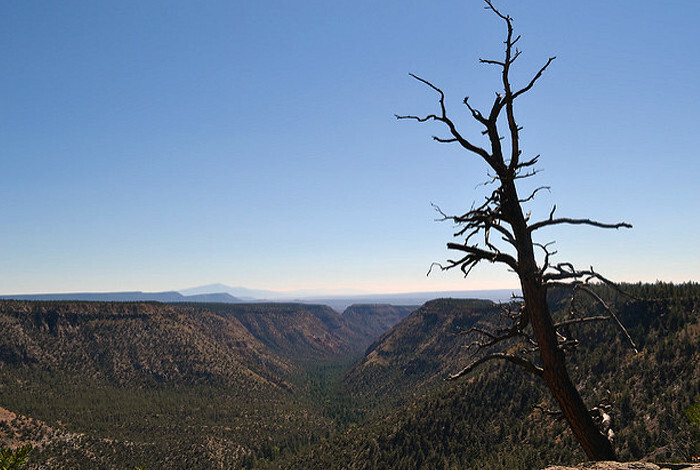 Whether today turns out damp or dry, drought is a fact of life in New Mexico. 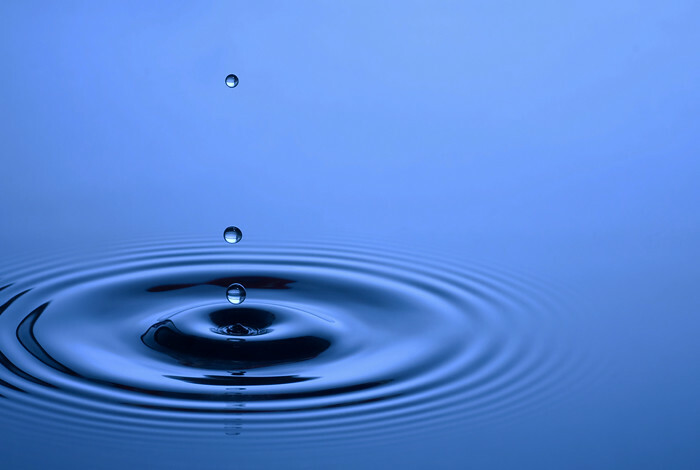 So where can we get more water? 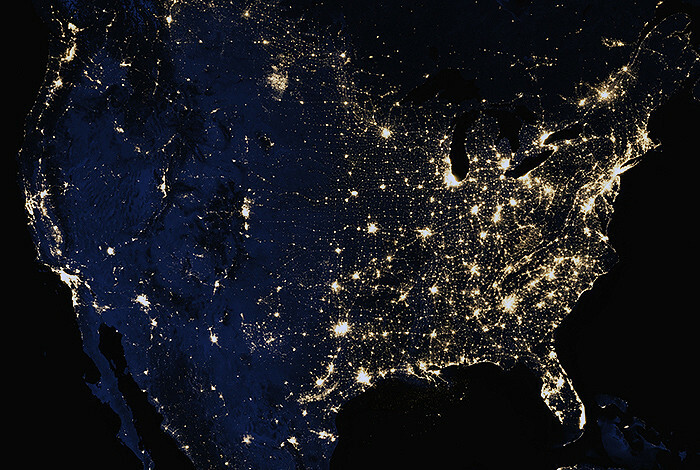 In the United States, industry produces more than 3 billion metric tons of carbon dioxide each year, around two-thirds of which come from fossil-fuel-based electricity generation. 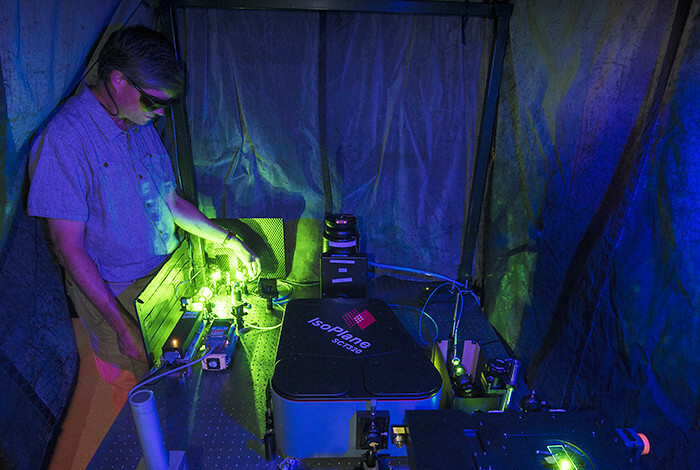 A "reactive case" is a new concept in explosives science currently being tested at Los Alamos National Laboratory. 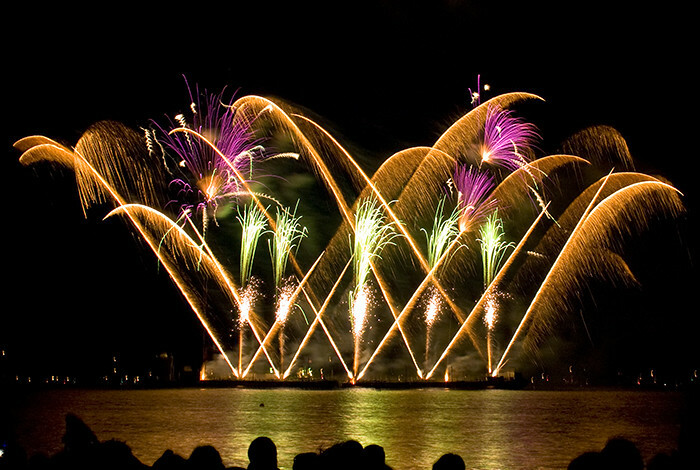 A reactive case would do more than just contain an explosive, but rather become part of the explosive event itself, actually enhancing or boosting the explosion while decreasing far-field fragmentation damage. 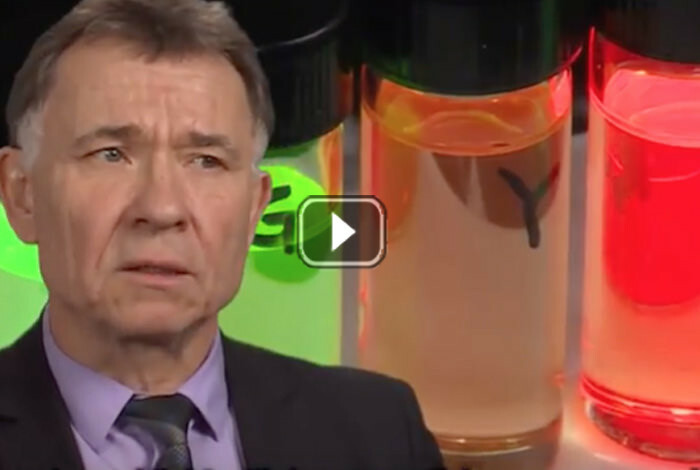 Carbon capture, utilization, and storage can provide a crucial bridge between our current global energy economy and a cleaner, more diversified energy future. 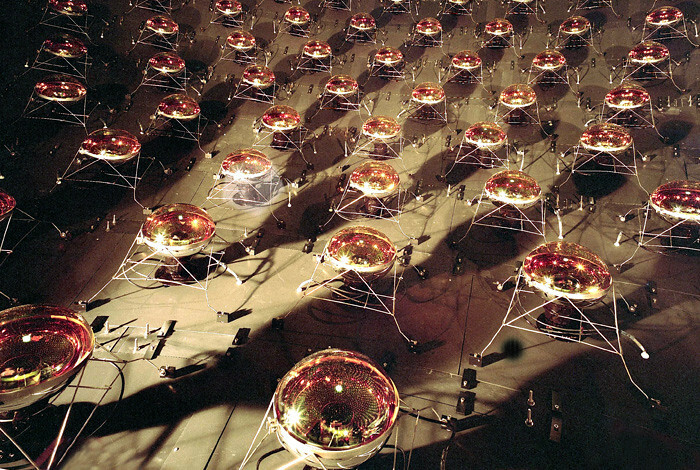 In this image, tightly packed disks subjected to an earthquake-like movement display separate fast and slow moving regions and form a net of load-bearing contacts, rather than a uniform distribution of pressure. 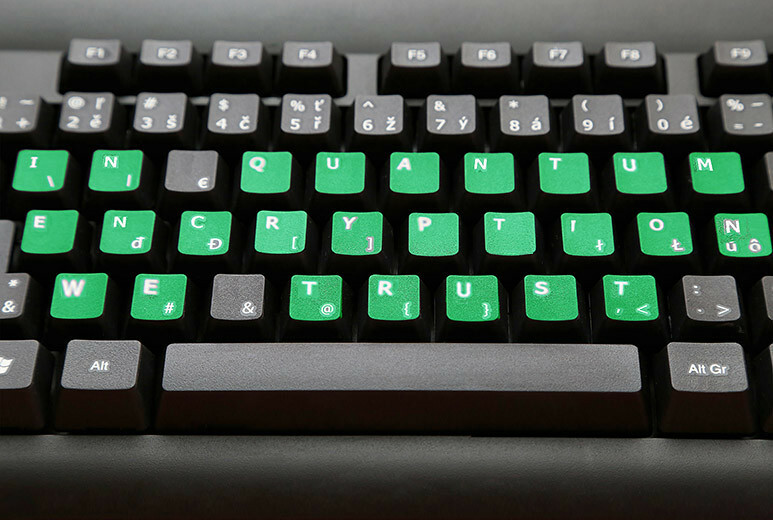 Los Alamos physicists developed a quantum random number generator and communication system that exploits quantum physics to improve cybersecurity. 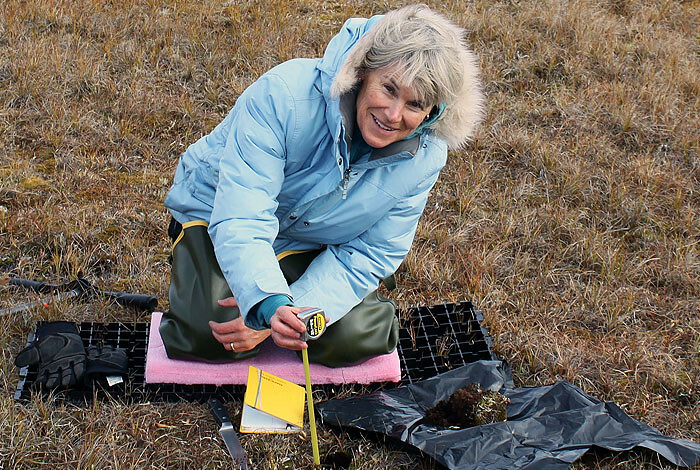 At the New Mexico Consortium, Los Alamos scientists are using genetic engineering to improve algae strains for increased biomass yield and carbon capture efficiency. 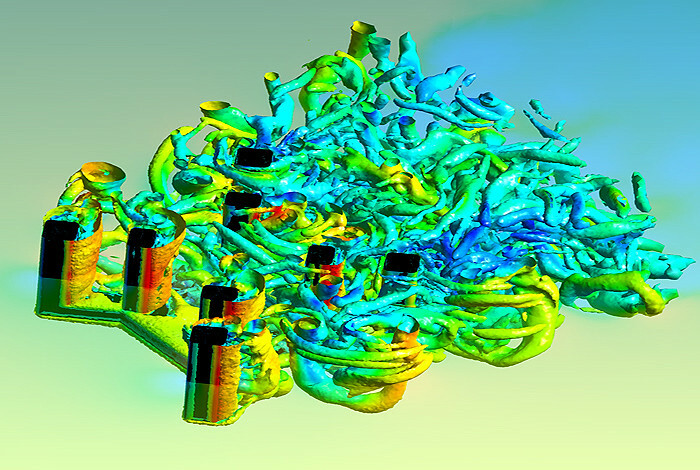 This 3D simulation shows how instabilities in the reconnection layer lead to multiple flux rope structures and turbulent magnetic fields. 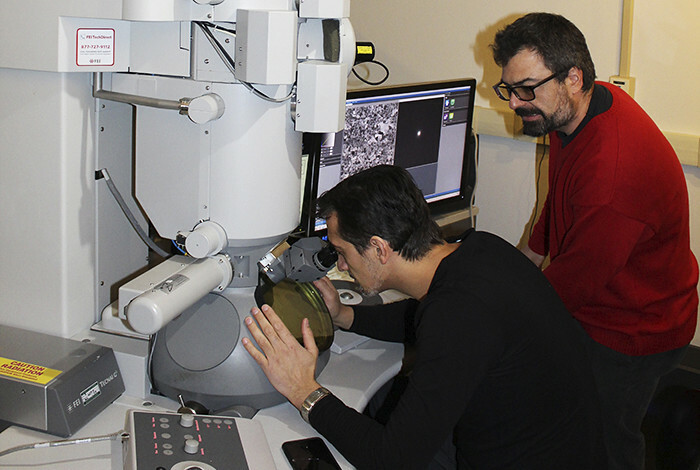 Los Alamos' Battlefield MRI uses ultra-low-field magnetic resonance imaging to create images of the brain that can be used in field hospitals or in remote villages. 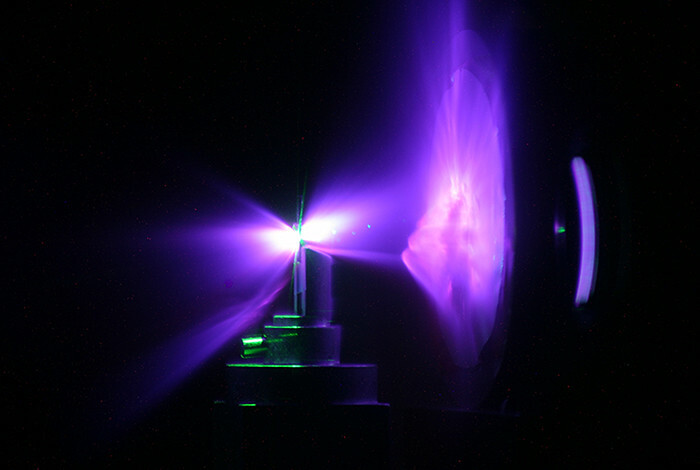 At Los Alamos’s Trident facility, scientists are using an ultra-high intensity laser beam to produce high intensity short duration neutron bursts. 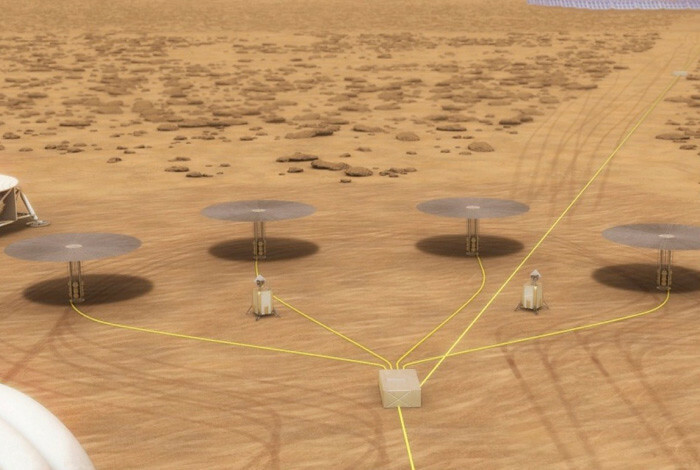 Applications of this novel neutron source include improving upon current technologies for the detection of clandestine nuclear materials and treaty verification. 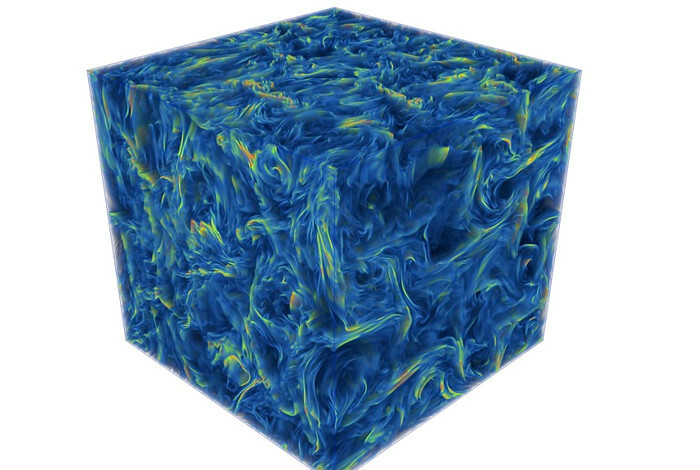 Drawing on expertise from astrophysics, applied mathematics, fluid mechanics, data management, and computer science, a interdisciplinary multi-institution research team including Los Alamos scientists have discovered that turbulence may be key to solving the mystery of "fast magnetic reconnection" that has puzzled physicists for decades. 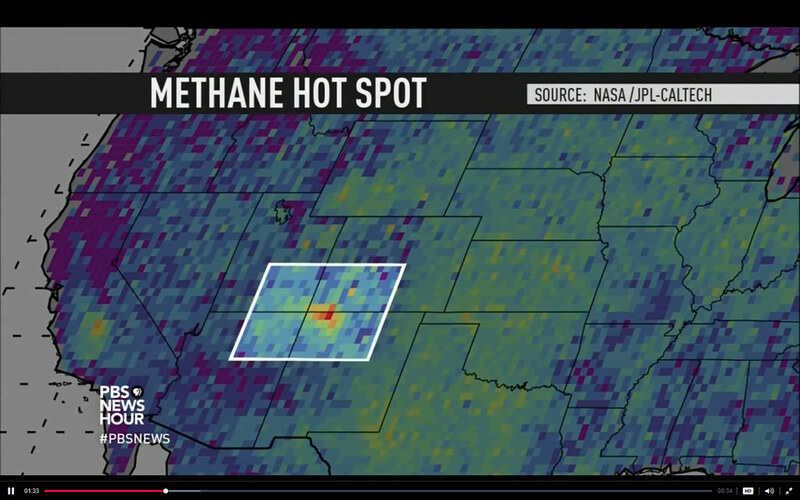 Los Alamos researchers go hunting for methane gas over the Four Corners area of northwest New Mexico and find a strange daily pattern. 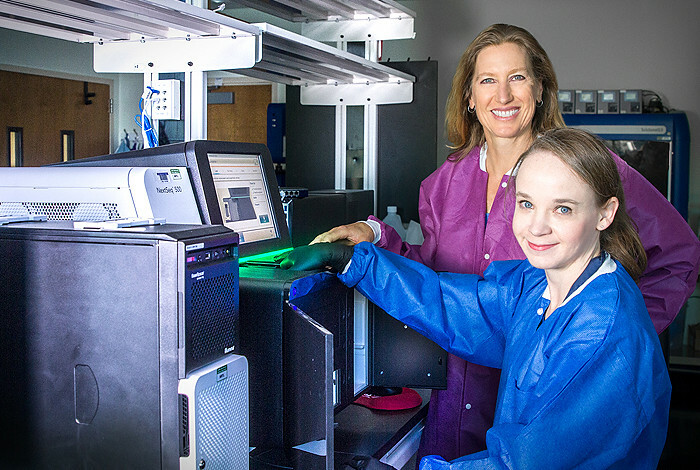 Researchers at Los Alamos National Laboratory have developed an innovative tool set for the early and accurate diagnosis of tuberculosis. 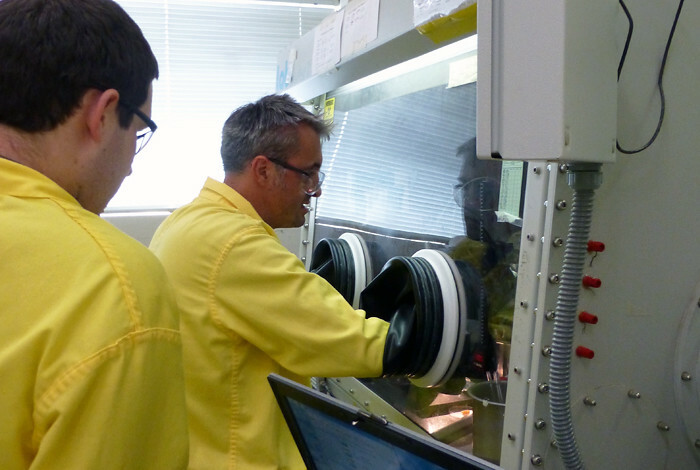 The Lab’s goal is to create new materials for use in advanced nuclear fuels which are safer and more efficient than those currently burned in reactors. 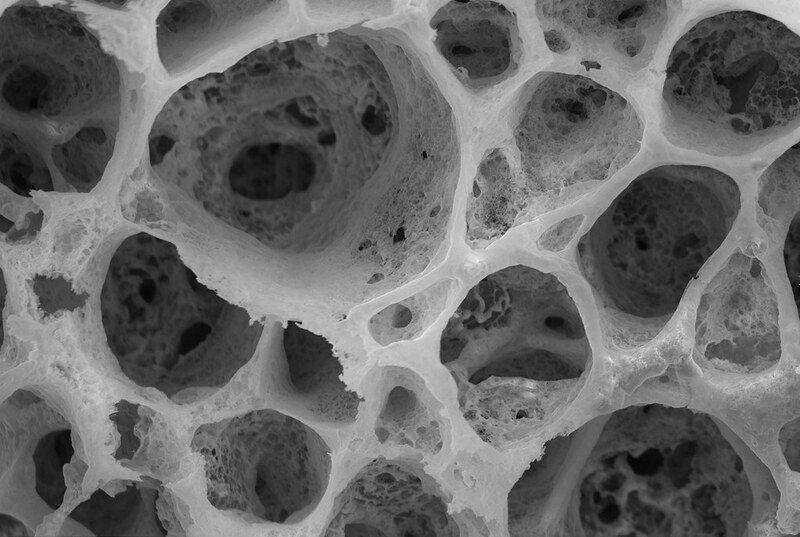 The image shown here was created by a Scanning Electron Microscope (also called an SEM) and it shows a cerium nitride foam. 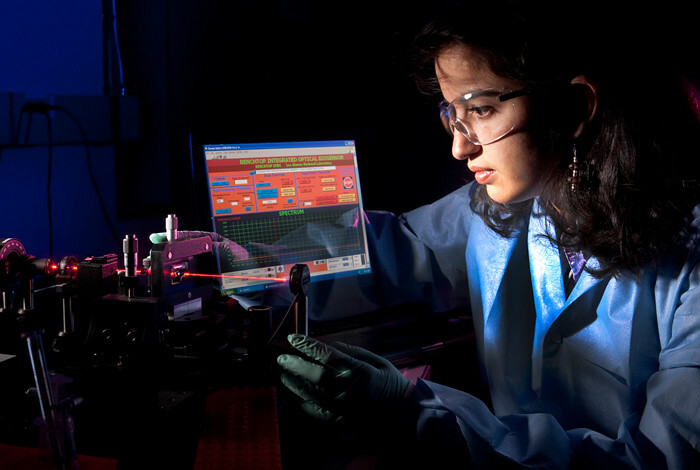 Isotopes from Los Alamos are used for the diagnosis of cardiac disease, calibration of PET scanners which in turn diagnose cancer, neurological disease, inflammatory diseases, trauma, and other circulatory diseases, and are increasingly being investigated for their potential to treat a variety of localized pathologies. 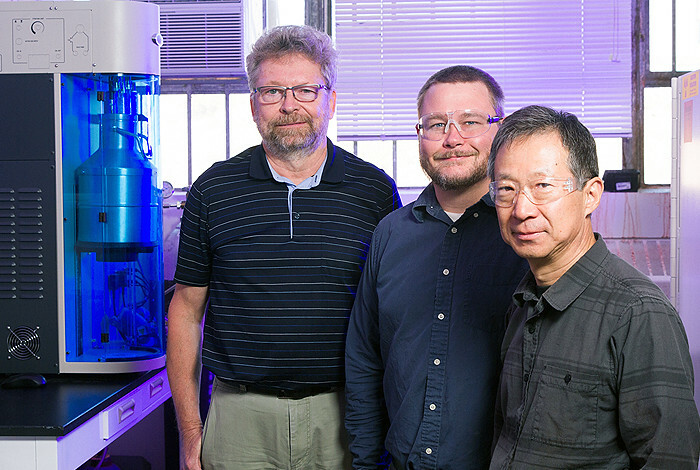 Scientists in Los Alamos National Laboratory's Chemistry and Explosive Science and Shock Physics divisions are exploring new methods for 3D printing that allow for the function of materials to be controlled by their internal structure. 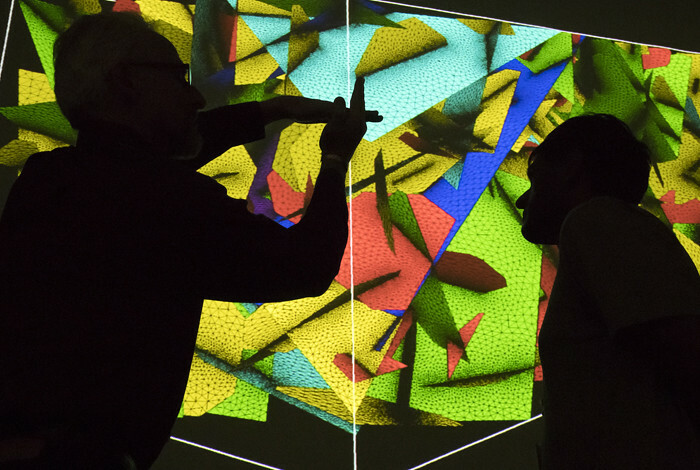 At Los Alamos National Laboratory, scientists are figuring out how to forecast an earthquake: they have developed simulations and physical experiments to represent the structure and dynamics of geological faults. 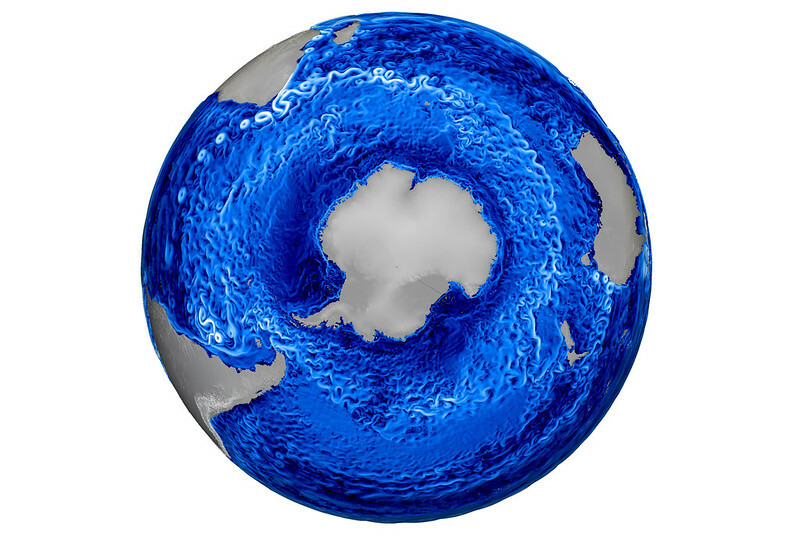 This visualization, courtesy of the Lab's MPAS-Ocean Model, shows ocean currents and eddies in a high-resolution global ocean simulation with the Antarctic in the center. 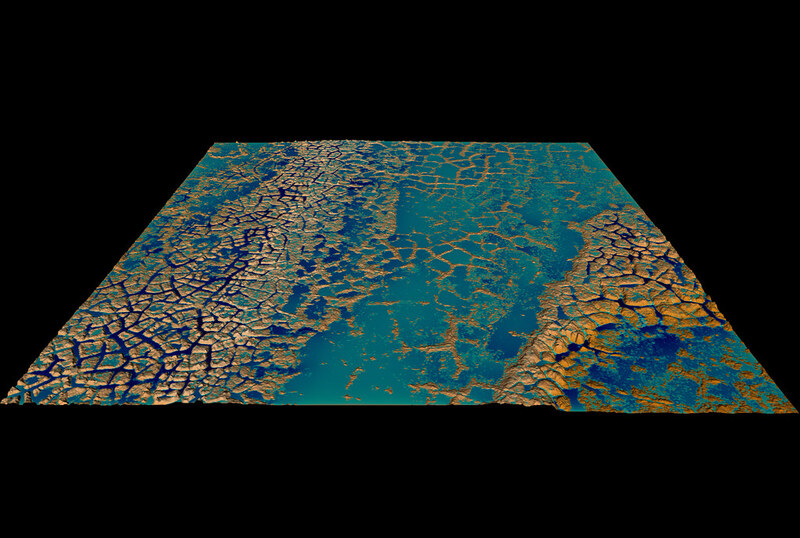 Los Alamos National Laboratory scientists work to understand the fate of this carbon using computer simulations such as this model of snowmelt draining from polygonal ground near Barrow, Alaska. 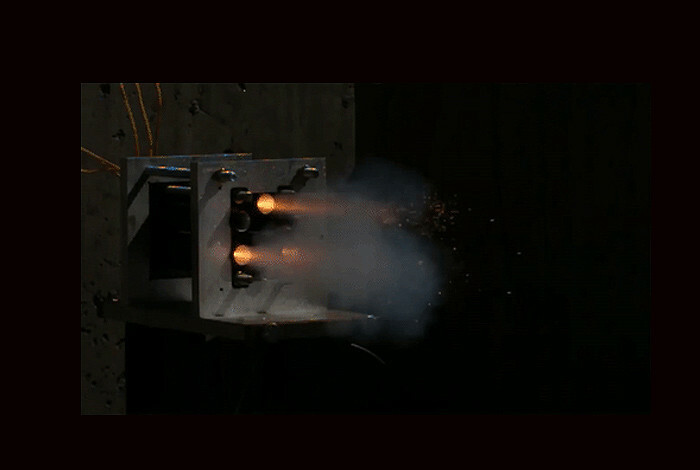 This photo shows one way that explosive charges are built. 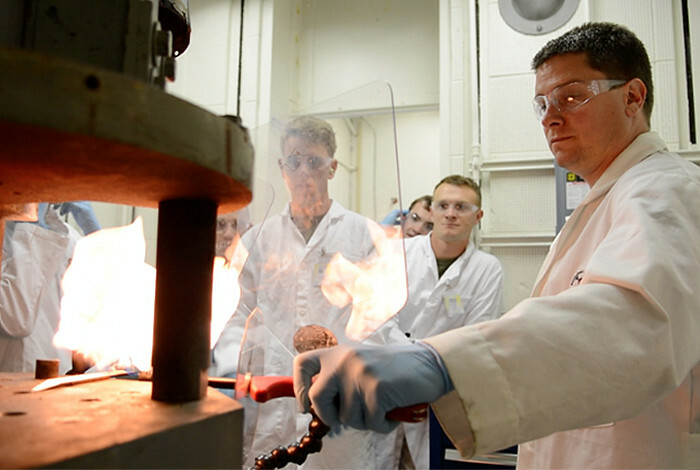 An explosive compound is heated just past its melting point and is poured from the kettle into the experimental apparatus. 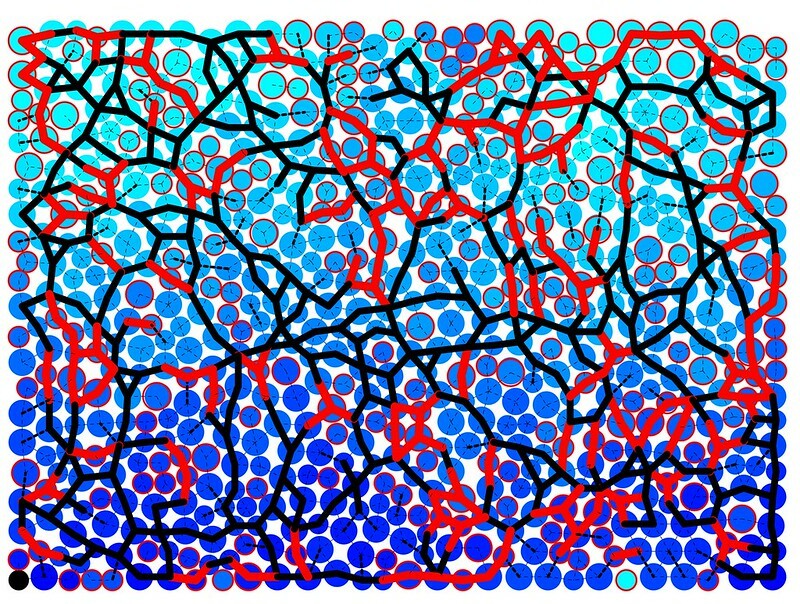 This computer simulation of vortex induced motion (VIM) from Los Alamos National Laboratory shows how ocean currents affect offshore oil rigs. 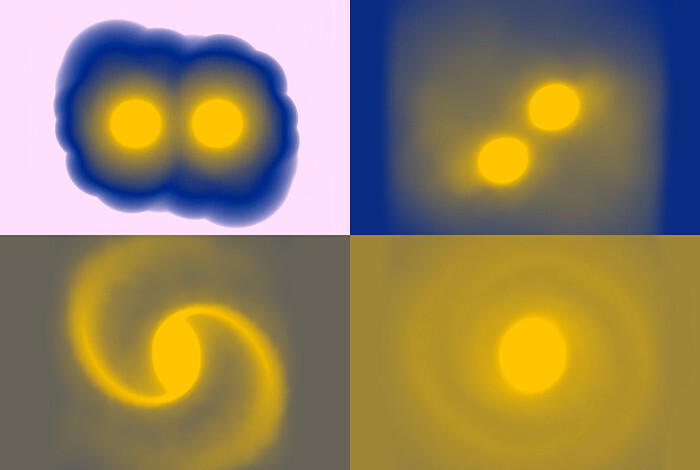 The large size and complex physics of this problem requires advanced numerical simulations using supercomputers. 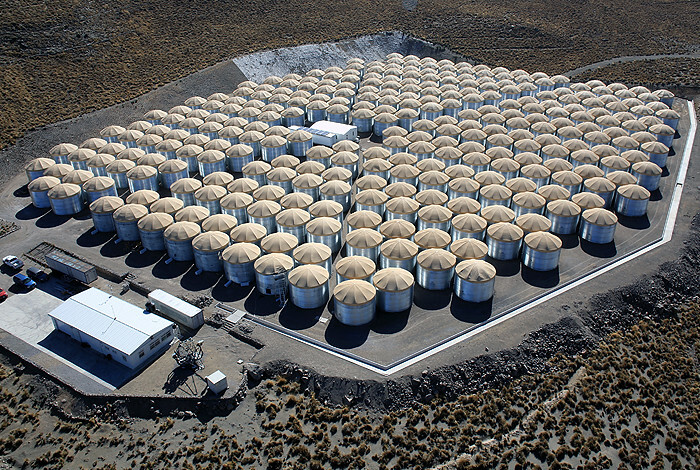 Today with the help of sophisticated tools like the ground based RAPTOR robotic observatory system that can find, and study on its own, transient optical events, and the High Altitude Water Chernekov (HAWC) Gamma Ray Observatory, designed to study the origin of the very high energy cosmic rays, and observe the most energetic objects in the known universe, Los Alamos scientists continue to work on solving different pieces of the gamma ray puzzle. 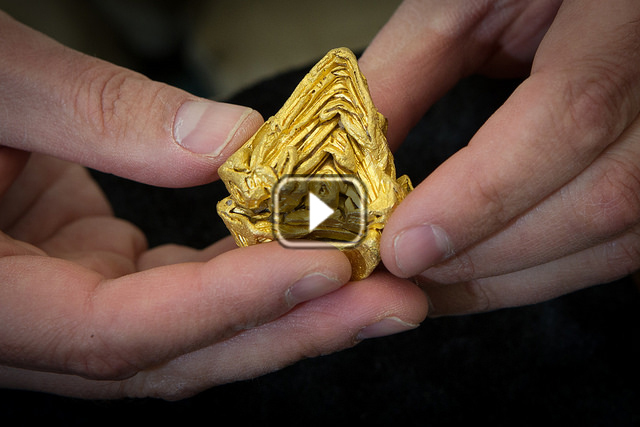 When geologist John Rakovan needed better tools to investigate whether a dazzling 217.78-gram piece of gold was in fact the world's largest single-crystal specimen he traveled to Los Alamos.